Reed Pros specializes in handmade oboe reeds for beginners to professionals. Each part of the reed making process is done in house to ensure our highest quality standards are met. 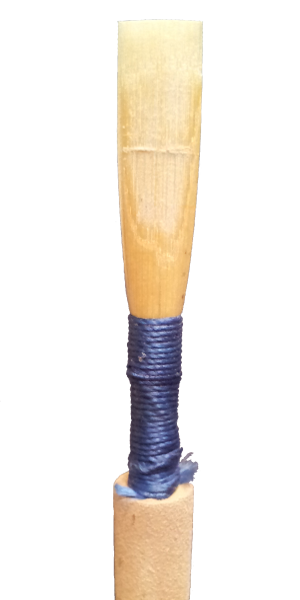 Find beautifully hand made oboe reeds ready to play. 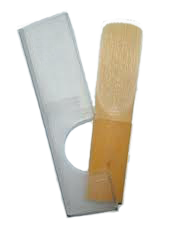 Oboe reed blanks for sale for the student learning to scrape or the busy professional. If you are making your own reeds, we have oboe staples, oboe reed making thread and more! Please visit our blog for helpful tips on oboe playing and oboe reed making tips. 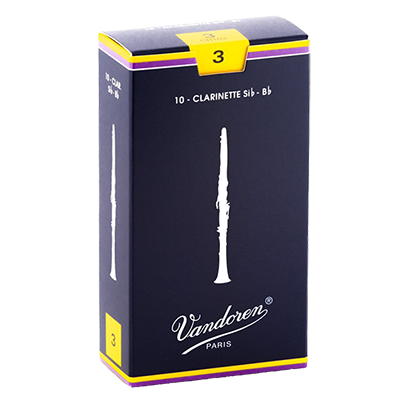 We now offer Vandoren clarinet reeds, clarinet maintenance supplies, such as mouthpiece brushes, clarinet swabs, thumb rest cushions, clarinet stands and more! Check back with us as we are always updating our inventory! Unlike any others you can buy, HUMISTAT®-brand humidifiers are adjustable. They contain no sponges, hoses, or tubes. They are designed to preclude any leaks. They are clear, meaning you can see exactly how much water remains, so there’s no guessing when to add more. They’re literally a snap to refill, and, once you buy a HUMISTAT®-brand humidifier, you never have to buy refills of any kind. The Humistat Humidifier comes with an instruction sheet and velcro to secure inside your instrument case. 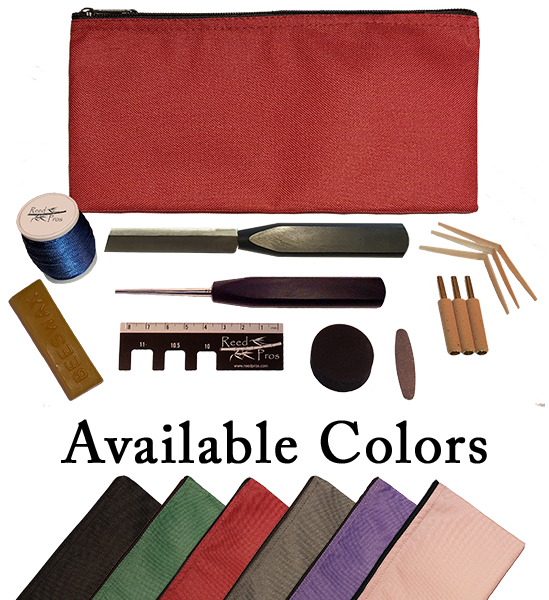 This is our Oboe Reed Making Deluxe Kit. This kit contains everything you need to get started making your own oboe reeds! Purchasing this kit for your first reed making lesson? Please see our Reedmaking Guide . Be sure to check with your oboe instructor for all required equipment, or give us a call! We can point you in the right direction for the items you will need or are missing for your next reedmaking lesson. Right or Left handed Landwell double hollow ground reed knife. 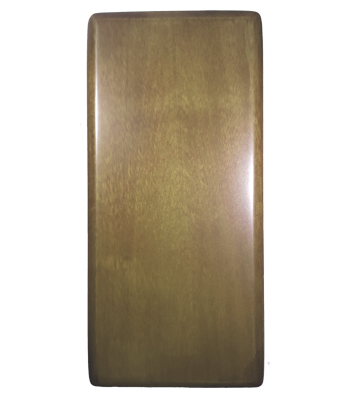 Flat steel rounded ends plaque. 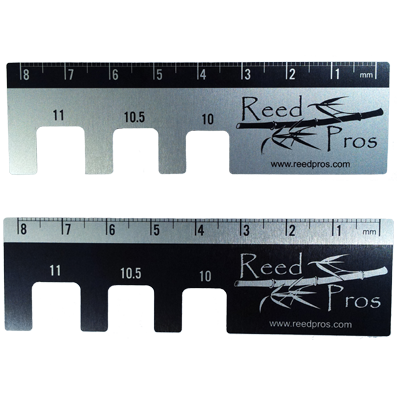 Reed Pros combo ruler and gauge (May receive black or silver ruler). 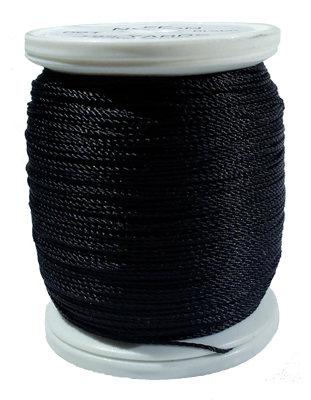 Spool of thread (may not be color shown in picture). 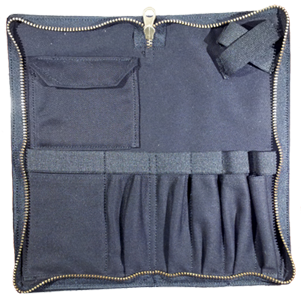 Nylon zippered multiple pocket tool pouch. Musicians - take note! 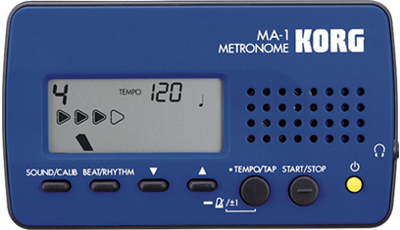 A great gift for your favorite music teacher. 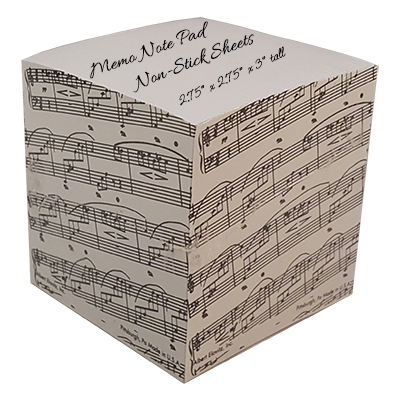 This white sheet music memo pad features musical notes on a staff running diagonally around the sides of this memo cube. The cube measures 2.75 inches by 2.75 inches and is 3 inches tall. We also take credit cards over the phone. 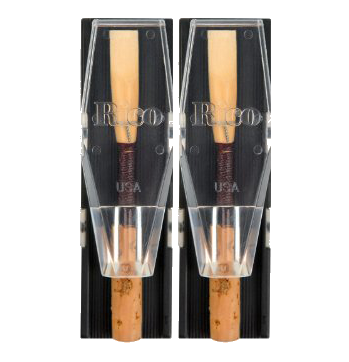 Reed Pros Superior Brand Oboe reeds are NOT available for immediate shipment. Reed wait times are an estimate. Current reed wait times are 6-8 weeks. Oboe reeds at Reed Pros are hand made with loving care from start to finish. Our oboe reeds are not like the reeds you find at your local music store. Those are mass produced with inferior scraping techniques resulting in a squawky, nasal tone. I make and sell reeds to you that I would play on. If I don't like it, I don't send it out. Reeds are play tested before leaving our shop to insure the proper strength and performance. How are the Artist Series different from the Superior Series oboe reeds? The Artist oboe reed series are profiled reeds which are hand scraped by me. They have a vibrant sound and are very responsive to play. 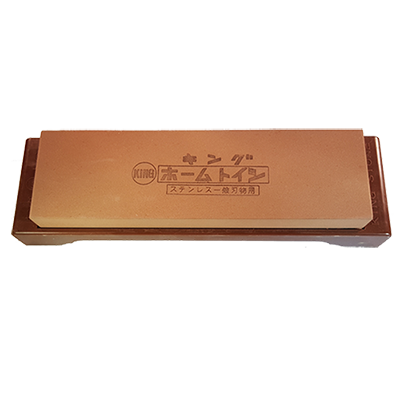 The strength of the Artist reeds tends to be lighter in strength than the Superior series. 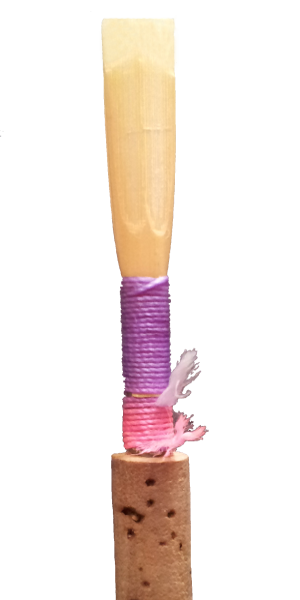 The Superior oboe reed series are handmade by me, start to finish. I select the finest tube cane and gouge and shape it in house. Each reed is tied on as a blank (without profiling) and then the detailed scraping process begins. 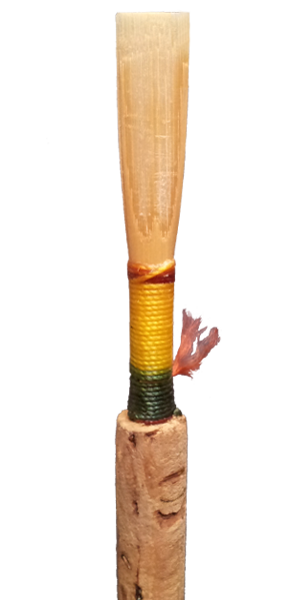 Each Superior series reed is worked on over a period of three days to allow the cane to settle and stabilize. The Superior reeds have a rich, dark sound. There is a wait time for oboe reeds. Arrival times are updated here. 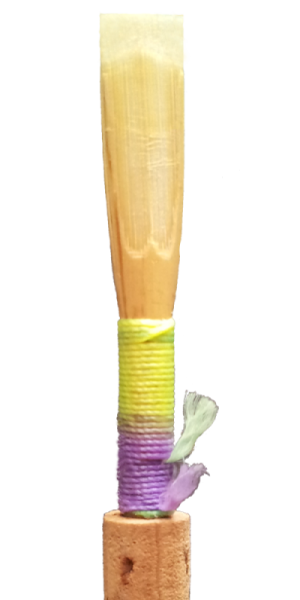 The tip of the reed is made more sturdy to help withstand accidental brushing on clothes. We use 46mm brass staples. They play easily for beginning chops low C to High C.
These reeds come in Med Soft. This is usually the strength needed for a first to second year player. The tip of this reed is more refined than that of the beginner reed. By this time the student has become more aware of the dangers chipping the reed tip. We use 47mm brass staples. They play easily for more advanced chops in order to get out a Low B up to a High D.
These reeds come in Medium. This is usually the strength needed for a second to third year player. The tip of this reed is very defined. There are windows in the back of the reed, excellent spine and rails. We use 47mm silver staples. This reed will play a Low Bb to High Eb. These reeds come in Medium Hard. 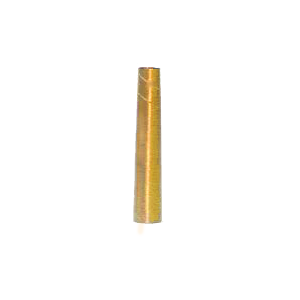 This reed is recommended for a high school player or doubler. Pro series 47mm silver staples. 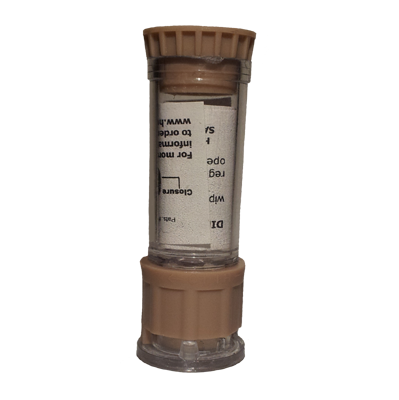 This reed is made using only the highest quality materials. If you would like a less finished reed in order to due more fine tune scraping, no problem! Just request this at checkout or send us an email. A handy timesaver! 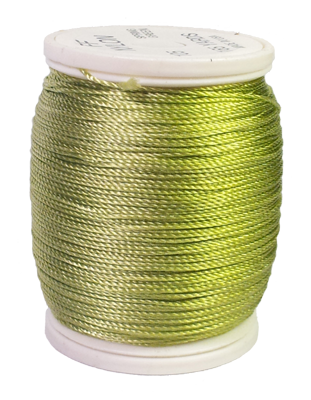 47mm staples are used, brass or silver. Fantastic for the student learning to scrape first or the busy professional. How many reeds you’d like to receive monthly. Which type: Artist Reeds (Beginner MS or Intermediate M) or Superior Reeds (Beginner MS, Intermediate M, Advanced MH, Professional). A combination of reeds is fine as well. Whether you have a preference as to which day of the month you wish to have them sent out. Then I’ll send you an invoice each month via email and once it is paid and the reeds are complete, I’ll send out the shipment. Another benefit to Reed Club is reduced shipping. Need a reed case? 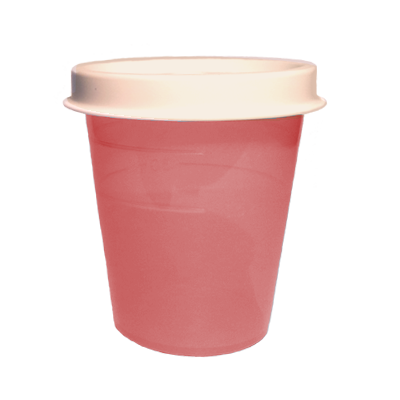 Soaker cup? Other item? No problem! Just ask for it to be added to your order. (Additional shipping may apply) Email us for more details! 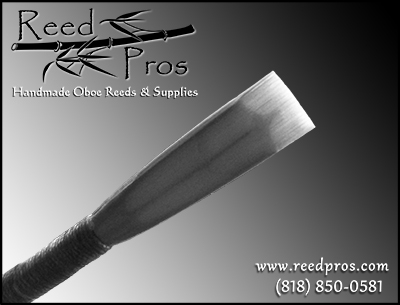 Reed Pros is proud to offer Medir oboe cane. It is grown in Spain and is quickly gaining a following for its consistency and beautiful sound. Medium in density / strength. 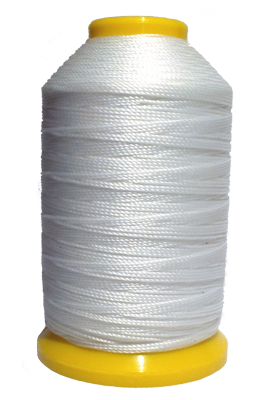 The quality of tube cane shipments can vary from batch to batch. 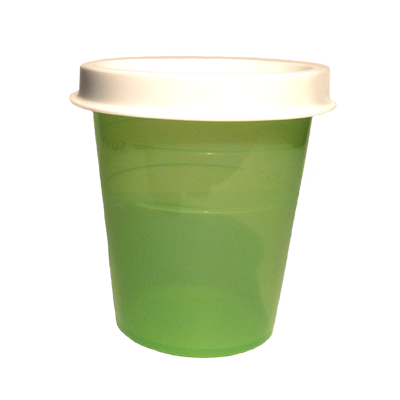 Sold per 1/4 pound so you can order a little to try it out or buy larger quantities to suit your needs. Tube cane purchases are non-returnable. 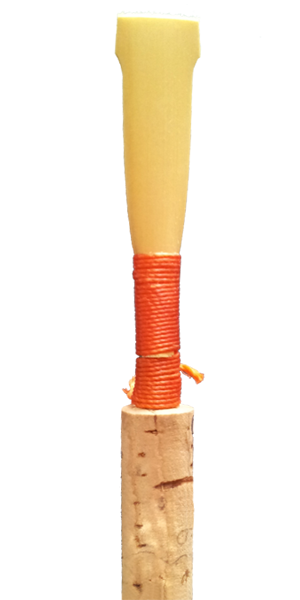 Reed Pros is proud to offer Rigotti oboe cane. 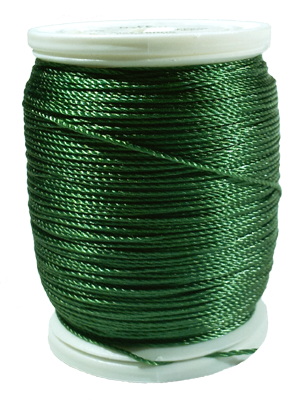 It is grown in France and is highly sought after for its consistency and beautiful sound. 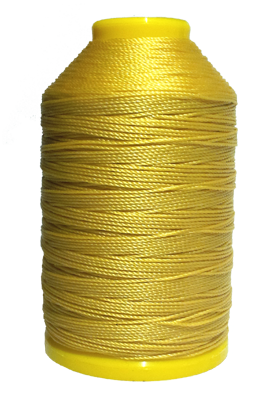 The quality of tube cane shipments can vary from batch to batch. 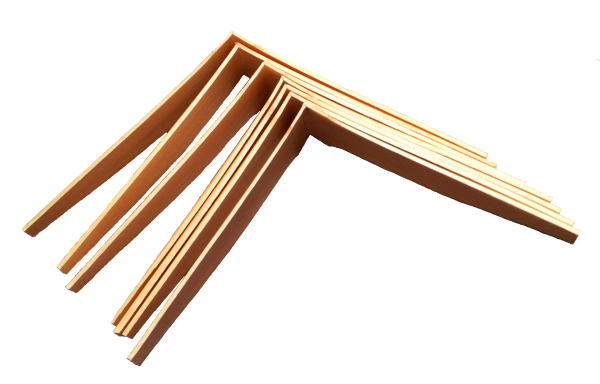 Reed Pros HOUSE gouged, shaped and folded cane is our current stock cane. We use the finest cane from the Var region of France. All cane is gouged in house to ensure the highest quality standards are met. Shaped using a Mack Pfeiffer shaper tip. 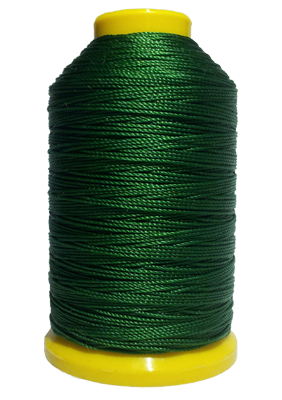 Cane is sold per piece so order as few or as many as you like. Tube cane and prepared cane purchases are non-returnable. We use the finest cane from the Var region of France. All cane is gouged in house to ensure the highest quality standards are met. 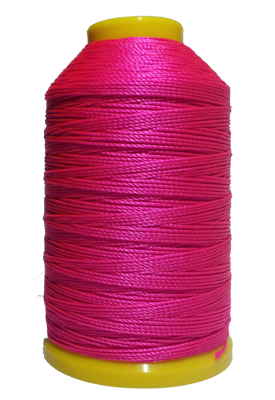 The cane is sold per piece so order as few or as many as you like. Gouged, shaped and folded by Rigotti. 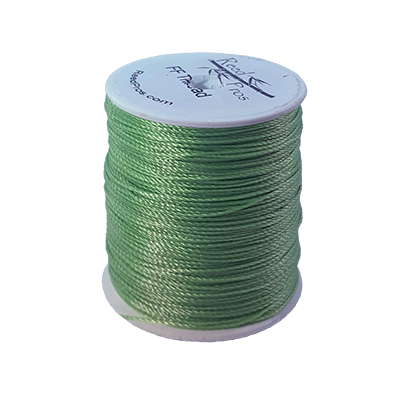 Cane is sold per piece so order as few or as many as you like. Gouged and shaped by Medir. 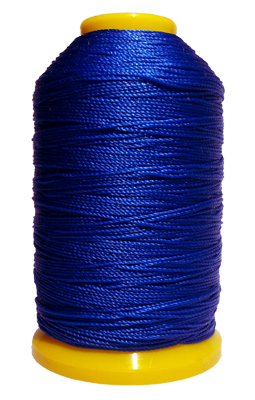 Cane is sold per piece so order as few or as many as you like. Gouged and shaped by Rigotti. 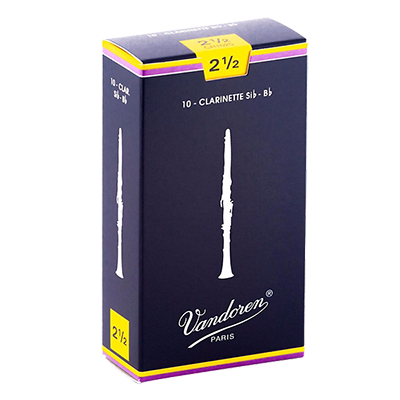 The perfect economical choice in oboe reed cases. 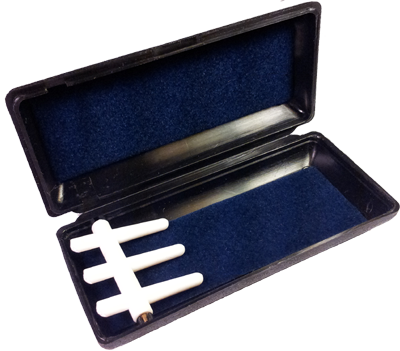 This moulded plastic case holds three oboe reeds and is able to fit in most instrument cases. 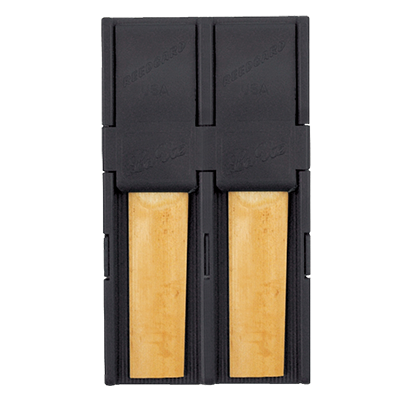 Keep your three best oboe reeds at-the-ready for performance or practice. 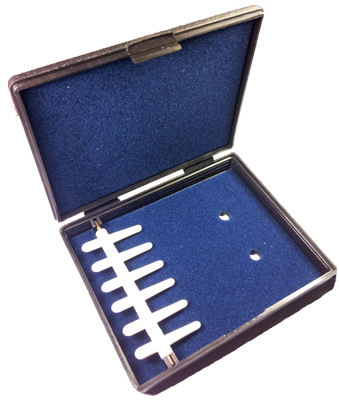 Featuring mandrel style reed holders with felt interior. This beautiful case holds three oboe reeds. 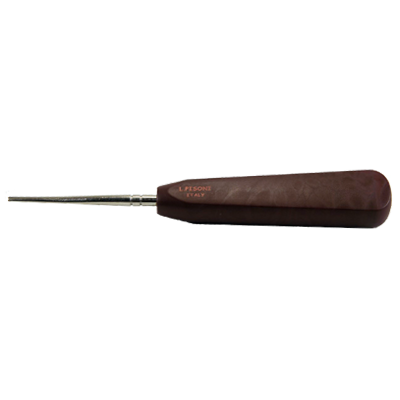 It features a lovely natural wood finish and French style reed holders covered in velvet. Magnetic closures keep the case looking sleek and completely secure. Perfect for keeping your oboe reeds at-the-ready for performance or practice. This beautiful case holds three oboe reeds. 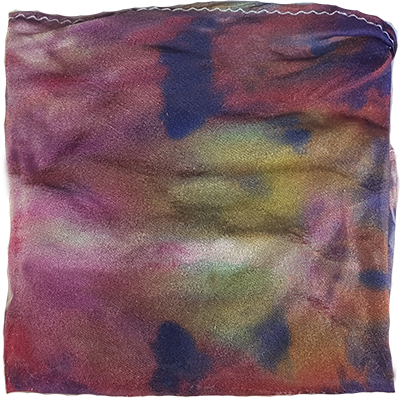 It features a lovely stained wood finish and French style reed holders covered in velvet. Magnetic closures keep the case looking sleek and completely secure. Perfect for keeping your oboe reeds at-the-ready for performance or practice. 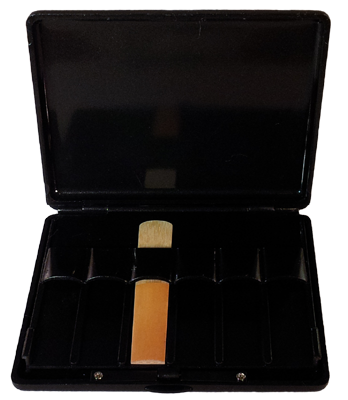 The perfect economical choice in oboe reed cases. 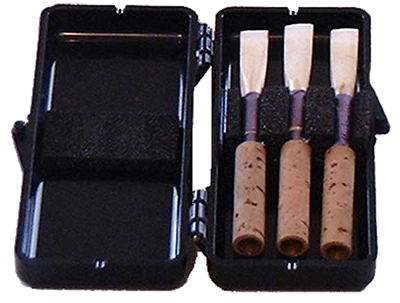 This moulded plastic case holds six oboe reeds. 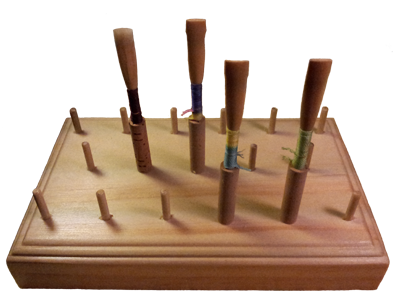 Featuring mandrel style reed holders with felt interior. This beautiful case holds six oboe reeds. 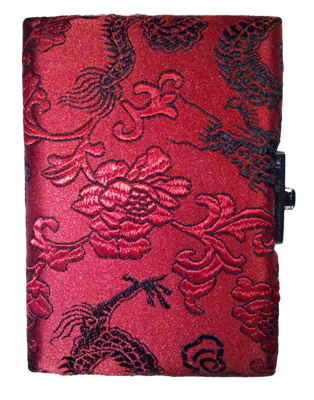 It features a lovely red dragon silk pattern and French style reed holders covered in velvet. Locking clasp release closure keeps the case secure. Perfect for keeping your oboe reeds at-the-ready for performance or practice. This beautiful case holds six oboe reeds. 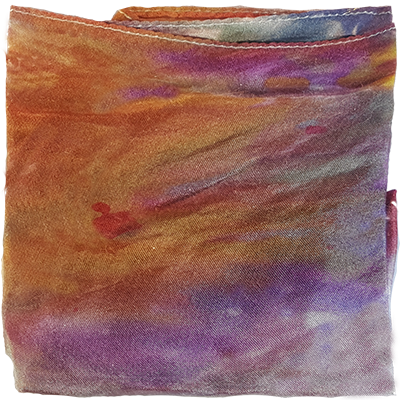 It features a beautiful stained finish and French style reed holders covered in velvet. Magnetic closure keeps the case secure. Perfect for keeping your oboe reeds at-the-ready for performance or practice. This beautiful case holds ten oboe reeds. It features a lovely stained wood finish and French style reed holders covered in velvet. Magnetic closures keep the case looking sleek and completely secure. Perfect for keeping your oboe reeds at-the-ready for performance or practice. 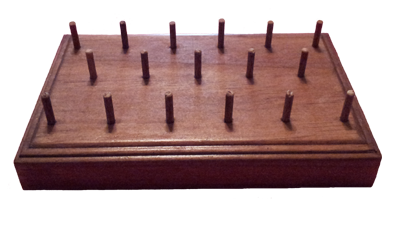 This beautiful case holds twelve oboe reeds. It features a lovely natural wood finish and French style reed holders covered in velvet. Magnetic closures keep the case looking sleek and completely secure. Perfect for keeping your oboe reeds at-the-ready for performance or practice. 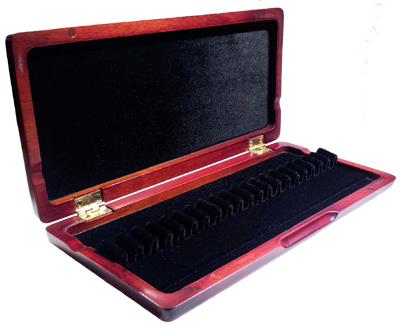 This beautiful case holds twelve oboe reeds. 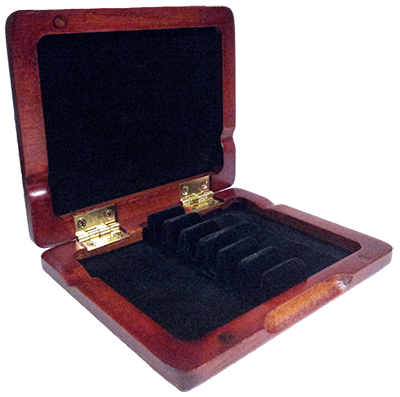 It features a lovely stained wood finish and French style reed holders covered in velvet. Magnetic closures keep the case looking sleek and completely secure. Perfect for keeping your oboe reeds at-the-ready for performance or practice. This beautiful case holds twenty oboe reeds. 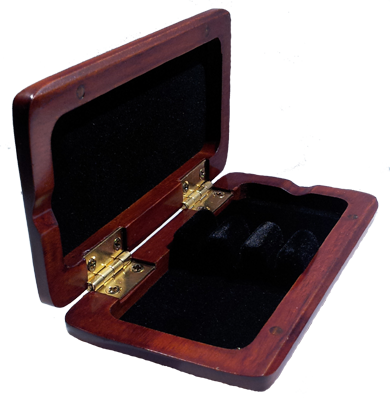 It features a lovely stained wood finish and French style reed holders covered in velvet. 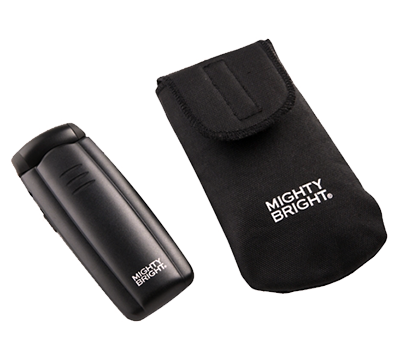 Magnetic closures keep the case looking sleek and completely secure. 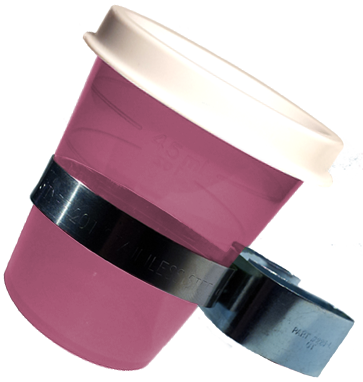 Perfect for keeping your oboe reeds at-the-ready for performance or practice. This beautiful case holds twenty oboe reeds. 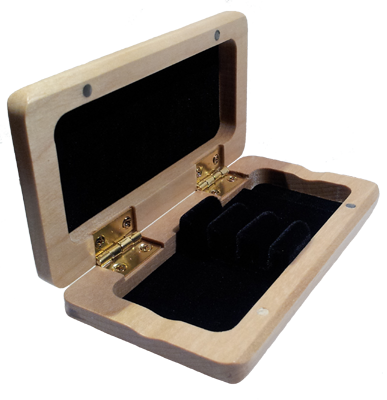 It features a lovely natural wood finish and French style reed holders covered in velvet. Magnetic closures keep the case looking sleek and completely secure. Perfect for keeping your oboe reeds at-the-ready for performance or practice. 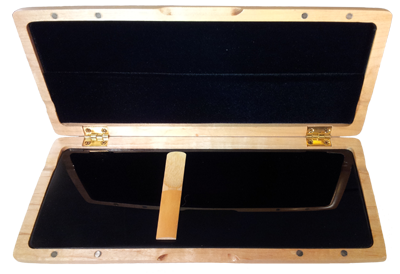 The ultimate in oboe reed case luxury! 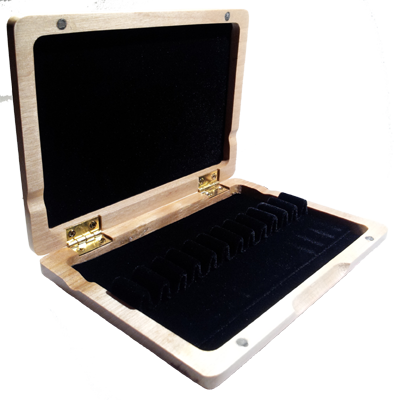 This beautiful case holds three oboe reeds and is able to fit in most instrument cases. 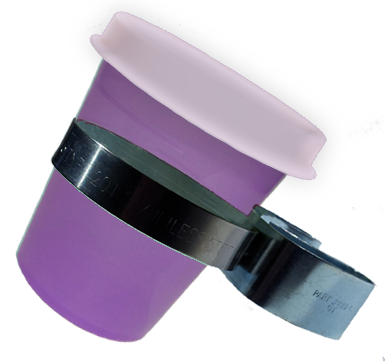 Perfect for keeping your three best oboe reeds at-the-ready for performance or practice. 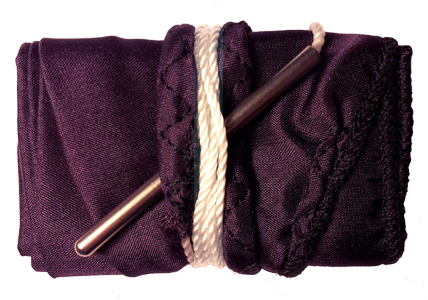 Featuring French style reed holders covered in velvet. This beautiful case holds six oboe reeds. 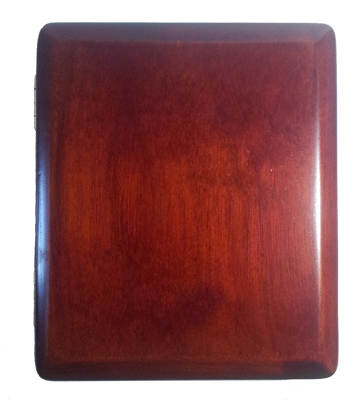 It features a lovely stained wood finish and French style reed holders covered in velvet. Magnetic closures keep the case looking sleek and completely secure. Perfect for keeping your oboe reeds at-the-ready for performance or practice. 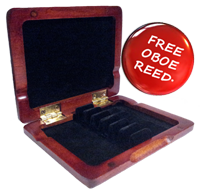 Receive one FREE oboe reed with the purchase of select reed cases. 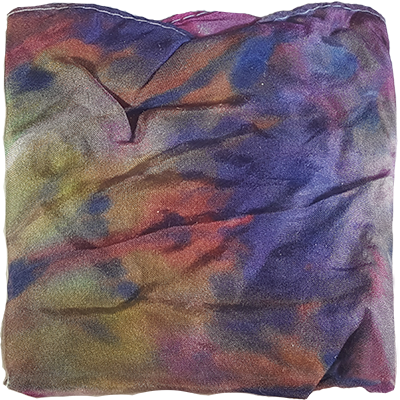 Choices available are Artist Beginner Medium Soft, Artist Intermediate Medium, Superior Beginner Medium Soft, Superior Intermediate Medium. Choose from one of these options when adding the oboe reed case to your shopping cart and you will receive one free reed! Please note: It may take two weeks to receive your reed case due to making the oboe reed. 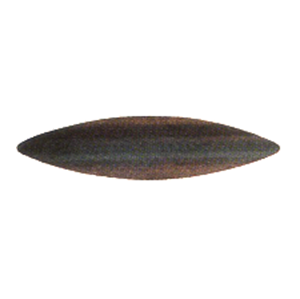 Descriptions on the reed types and strengths can be found on the oboe reeds page. This beautiful case holds six oboe reeds. 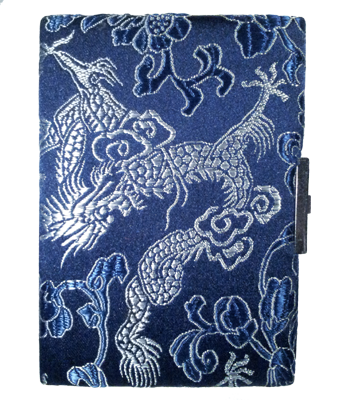 It features a lovely blue dragon silk pattern and French style reed holders covered in velvet. Locking clasp release closure keeps the case secure. Perfect for keeping your oboe reeds at-the-ready for performance or practice. A Reed Pros exclusive! Measuring is essential to reed making. Reed Pros has created a ruler / gauge combo for checking reed lengths as well as measuring diameters for oboe tube cane. 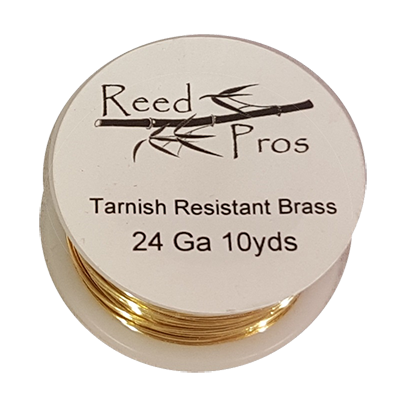 A Reed Pros exclusive! Measuring is essential to reed making. 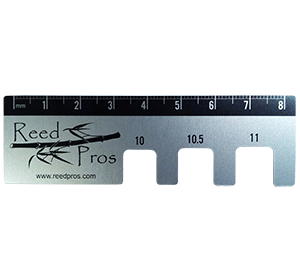 Reed Pros has created a ruler / gauge combo for checking reed lengths as well as measuring diameters for oboe tube cane. Measure area currently on one side only. 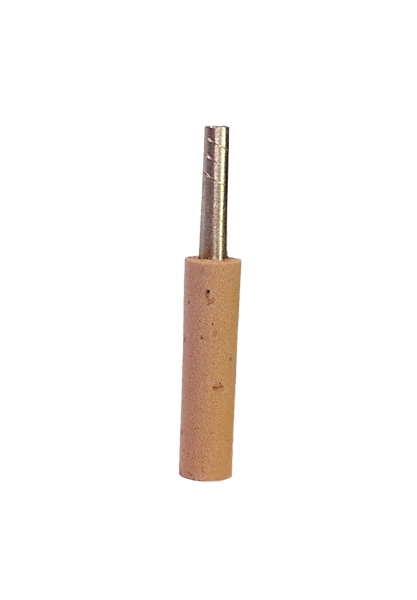 Our Brass Oboe Staples are 46mm with synthetic cork. 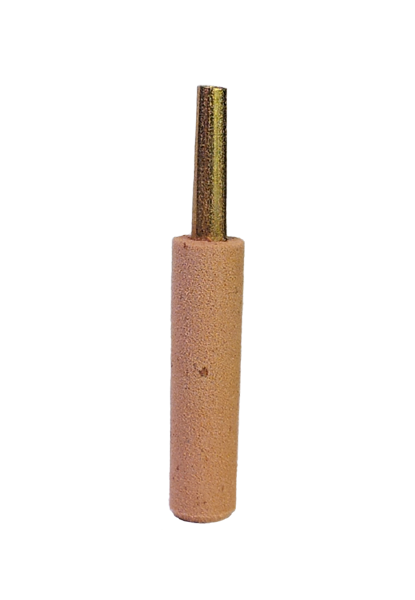 Synthetic cork usually does not need cork grease in order to fit into the oboe well. 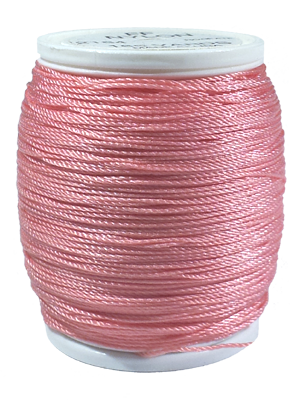 Natural cork staples tend to be more expensive, require cork grease and can be difficult to extract from the oboe. Because of this, synthetic cork is our favorite. Try it yourself and decide! Staples are sold individually so order as few or as many as you like. 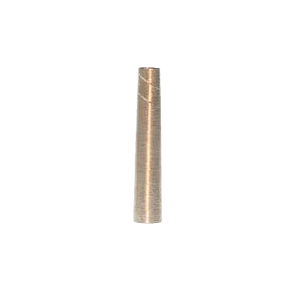 Our Silver Oboe Staples are 47mm with synthetic cork. Synthetic cork usually does not need cork grease in order to fit into the oboe well. 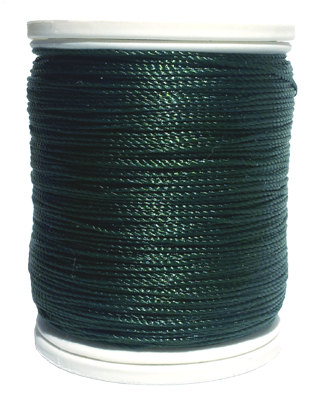 Natural cork staples tend to be more expensive, require cork grease and can be difficult to extract from the oboe. Because of this, synthetic cork is our favorite. Try it yourself and decide! English Horn staples with two scribe marks. 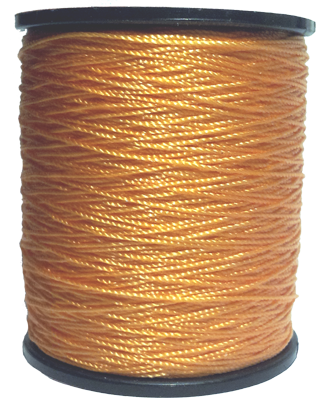 Brass Tarnish resistant English Horn wire 24 gauge. 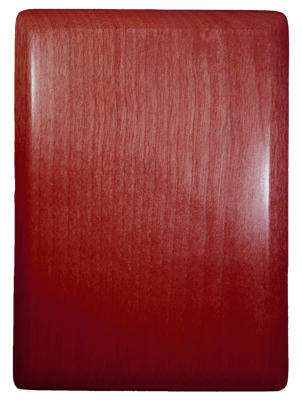 Our beautiful oboe reed drying rack comes in natural finish or cherry stain. Each rack has seventeen posts to hold reeds and is finished with a clear semi-gloss water resistant lacquer. Oboe reed drying racks are a handy, cost efficient way to keep reeds out of danger while working. Reeds are safe from rolling around on your work bench. No need for massive (and expensive!) reed storage cases to house reeds that aren't ready to play. 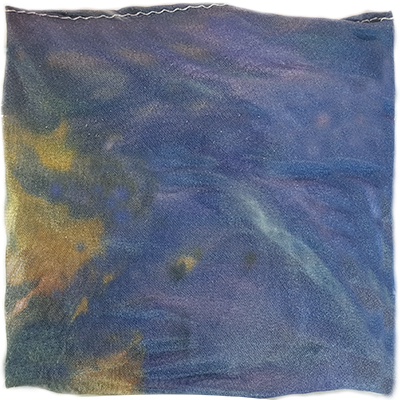 Try our Oboe Reed Drying Rack! This knife comes pre-sharpened so be sure to choose right or left handed. 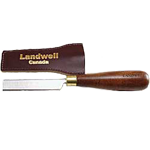 The Landwell Reed Knife is a double hollow ground knife with a comfortable wooden handle. The blade is made with soft or medium steel. 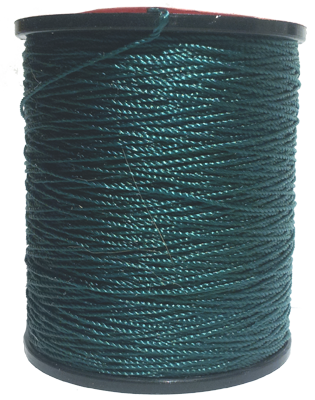 Soft steel requires less sharpening to get a fantastic edge but dulls more quickly. 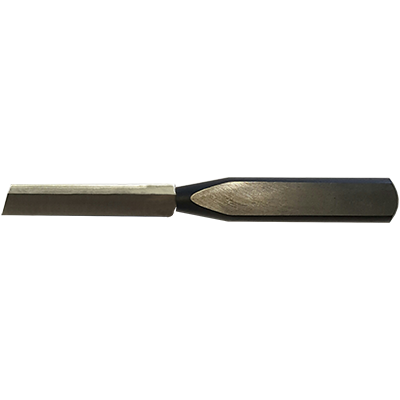 Medium steel takes more effort to sharpen but holds the edge longer. Comes with brown or black leather sheath. 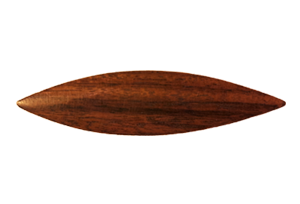 The Pisoni Reed Knife is a double hollow ground knife with a comfortable wooden handle. The Vitry Style Reed Knife is a double hollow ground knife with a light plastic handle. This is a great economical knife. Comes with temporary cardboard sheath. 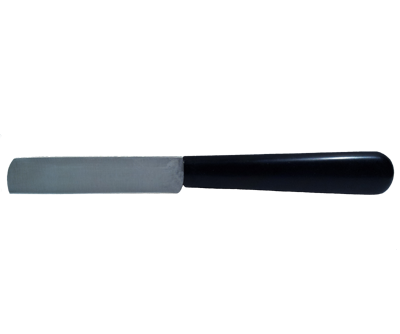 The Double Hollow Ground Style Reed Knife is a medium strength steel knife with an ebony wood handle. It sharpens nicely and holds the burr well. Knife is NOT presharpened for Right or Left handedness. This is a great economical knife. 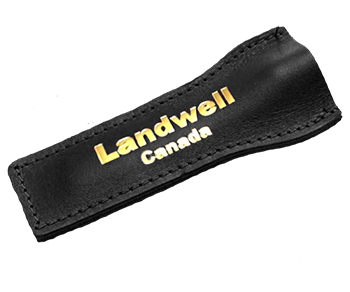 Leather knife sheath with Landwell Canada printed on one side. May be in brown leather or black leather. Fits most knives. The standard oboe mandrel features a wooden handle. 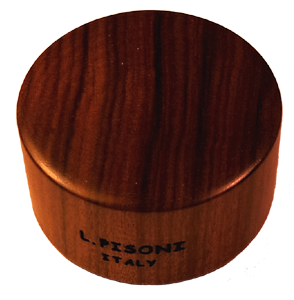 The Pisoni English Horn mandrel features a wooden handle. 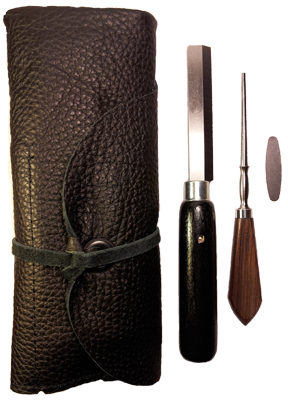 Keep your knives, mandrel, ruler, cutting block, plaque and more safe and secure with this lovely leather tool pouch. 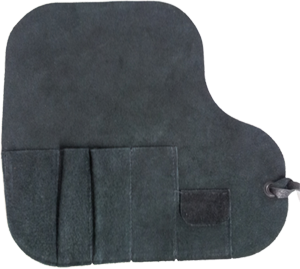 Keep your knives, mandrel, ruler, cutting block, plaque and more safe and secure with this economical nylon tool pouch. 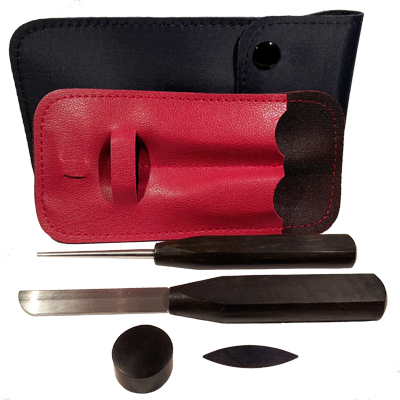 Keep your knives, mandrel, ruler, cutting block, plaque and more safe and secure with this leather zipper tool pouch. 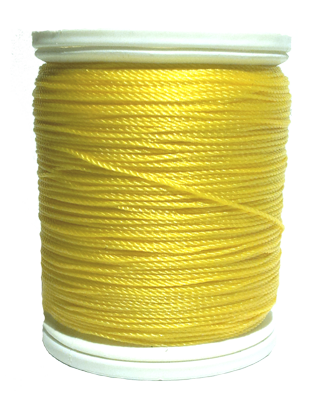 Beeswax for your oboe reed making needs. 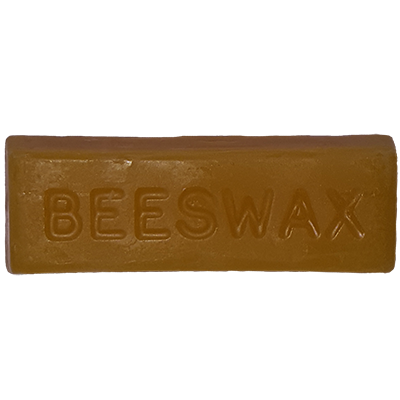 Each rectangle of beeswax is 1 ounce. This will last quite some time! Cutting Block made from Grenadilla wood. Made by Pisoni. 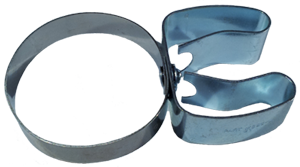 Features a non-skid base for clipping ease. 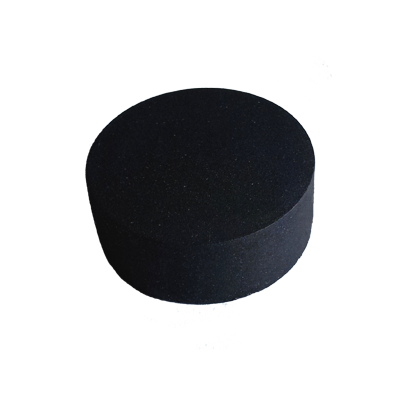 Diameter is 1 3/8"
Small Cutting Block made from plastic. 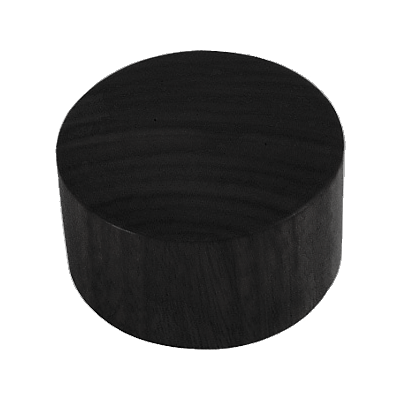 Diameter is 1 1/4"
Small Cutting Block made of ebony wood. Features a non-skid base for clipping ease. 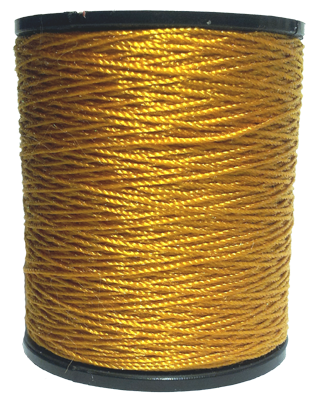 Diameter is 15/16" or 2.5 cm. Height is 7/16" or 1.2 cm. 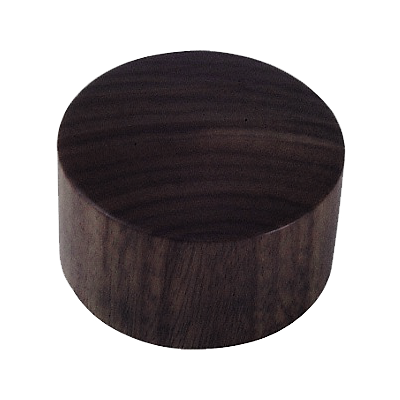 Medium Cutting Block made of ebony wood. Features a non-skid base for clipping ease. Diameter is 1 1/8" or 3 cm. Height is 5/8" or 1.6 cm. Large Cutting Block made of ebony wood. Features a non-skid base for clipping ease. 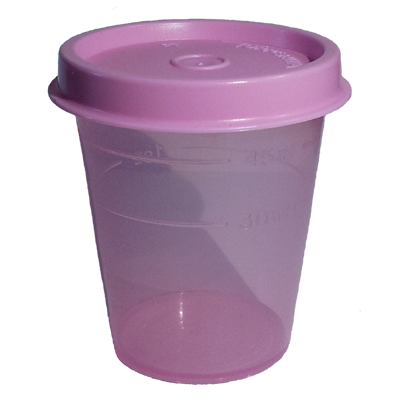 Diameter is 1 7/8" or 3.7 cm. Height is 11/16" or 1.8 cm. Contoured wood plaque for oboe reed making. This model features pointed ends. Flat, Steel plaque for oboe reed making. This model features rounded ends. Contoured Ebony wood plaque for oboe reed making. This model features pointed ends. Flat, Steel plaque for oboe reed making. 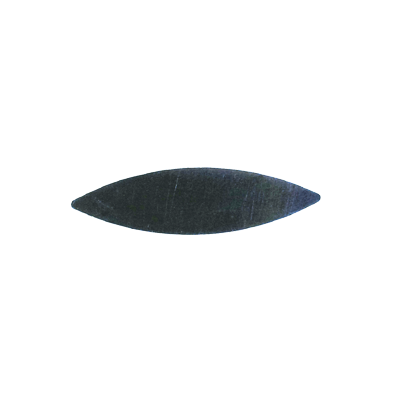 This model features pointed ends. Contoured Ebony Wood plaque for oboe reed making. This model features a single pointed end. The fast-cutting surface pattern is self-clearing and stays flat so it hones at just the right angle. 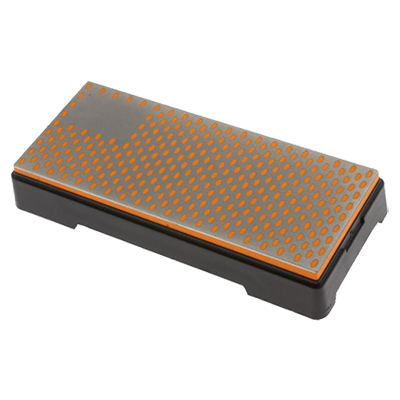 An innovative continuous diamond Micro Pad is ideal for sharpening small blades and fine-pointed tools. The stone also can be removed from the sturdy non-skid base, and it has a snap-lock lid for storage. These stones sharpen tough steel, carbide and even ceramic blades. 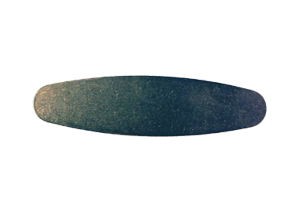 This whetstone has two different sides of grain for sharpening and polishing knife edges. 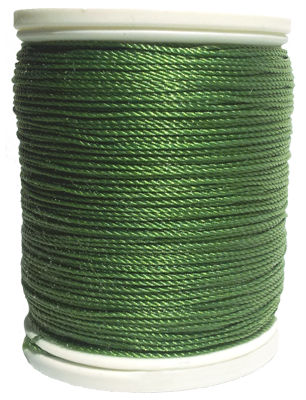 The dark green side is coarse grit 400. The light green side is fine grit 1000. For best results, submerge the stone in water for about 5 - 10 minutes. Waterstones should be soaked in a shallow container of water for a few minutes prior to use. The time required will vary based on the stone’s porosity. A fine polishing stone will take 15 or 20 minutes to soak, while a coarse stone will become saturated more quickly. During the honing process, the stone’s should also be kept wet. Waterstones do not require storage in water, and care should be taken not to leave a waterstone in water when freezing conditions may occur. 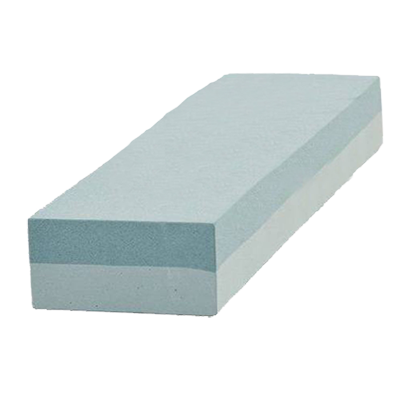 Continue to apply water to the stone while sharpening your knife. After sharpening is complete, rinse the stone and clean off the grinding residue. Clean your knife with hot water. Waterstones should be soaked in a shallow container of water for a few minutes prior to use. The time required will vary based on the stone’s porosity. 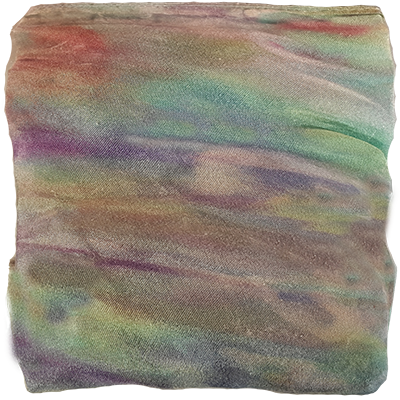 A fine polishing stone will take 15 or 20 minutes to soak, while a coarse stone will become saturated more quickly. During the honing process, the stone’s should also be kept wet. Waterstones do not require storage in water, and care should be taken not to leave a waterstone in water when freezing conditions may occur. After sharpening is complete, rinse the stone and clean off the grinding residue. Clean your knife with hot water. 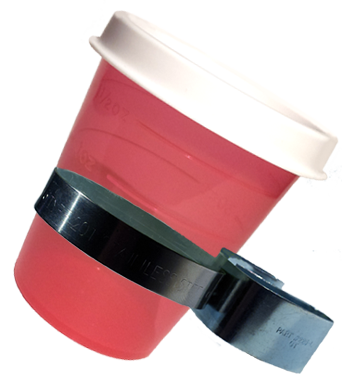 The easiest to use, most effective knife sharpener available anywhere. Micron-sized diamonds provide a superior sharpening surface. 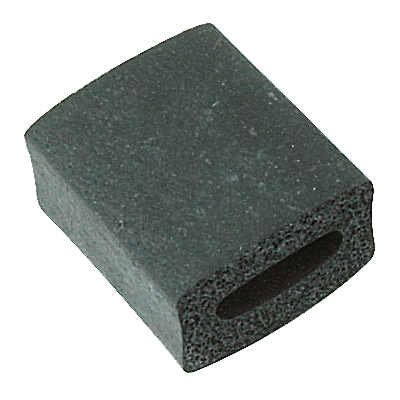 Nonskid feet keep stone in place for big jobs and easy sharpening. Just a few strokes of the blade and your knife is razor sharp. 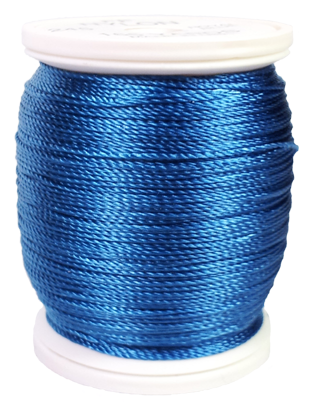 They use micron-sized diamonds, bonded to precision-ground steel, to achieve a superior sharpening surface. 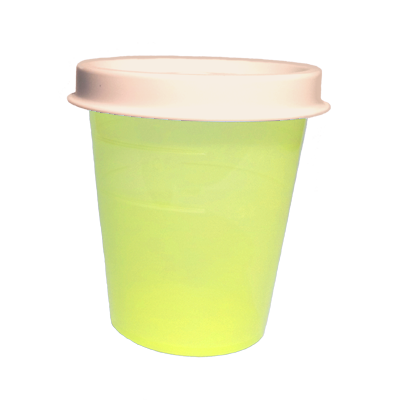 Unique, no-hassle design needs only water for lubrication. Nonskid feet for easy sharpening. Dimensions 6"L x 2"W x 0.75"H.
There's no need to have boring reed colors. 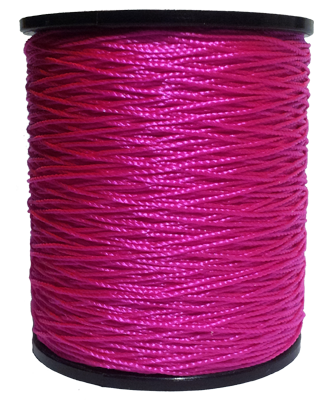 Enjoy our vibrant, beautiful reed thread! 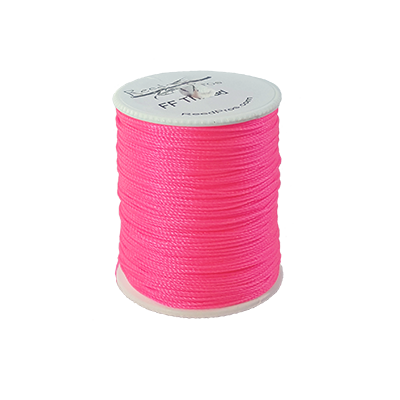 This mini spool has approximately 40-50 yards of nylon thread. 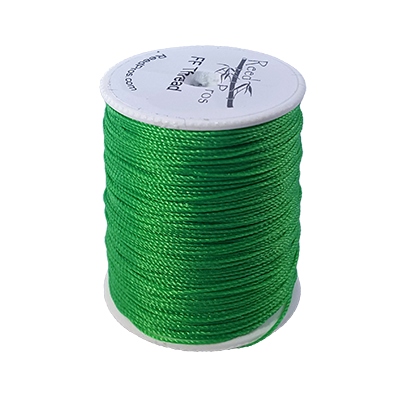 They are the perfect size to easily handle when tying. Inexpensive enough to buy multiple colors! Available in FF so the thread is ultra strong. This spool has 275 yards of nylon thread. Available in FF so the thread is ultra strong. 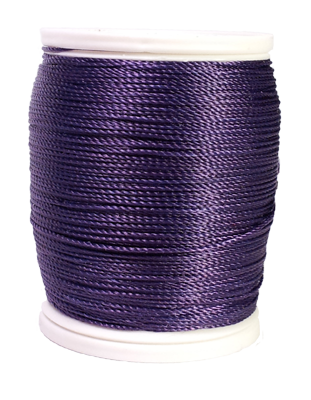 This spool has 275 yards of nylon thread. 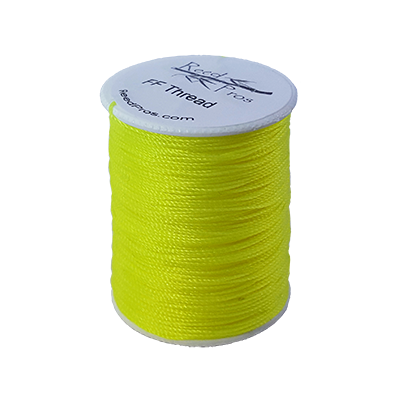 They are the perfect size to easily handle when tying. 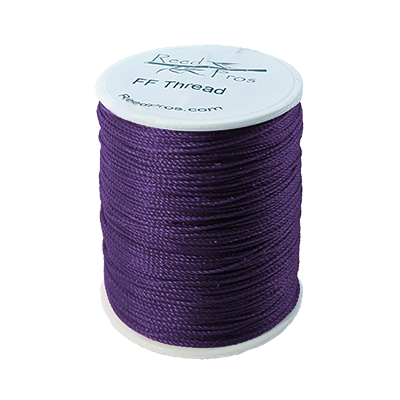 Available in FF so the thread is ultra strong. 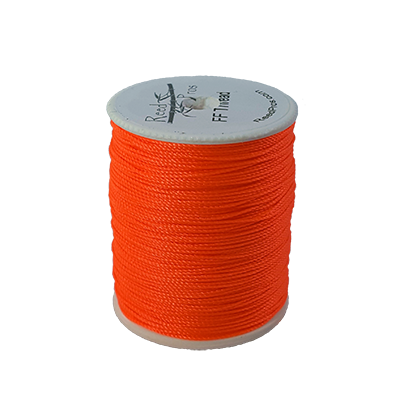 This spool has 200 yards of nylon thread. 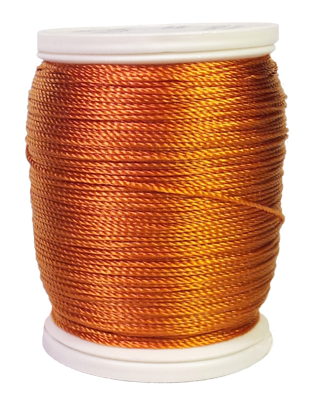 Available in FF so the thread is ultra strong. 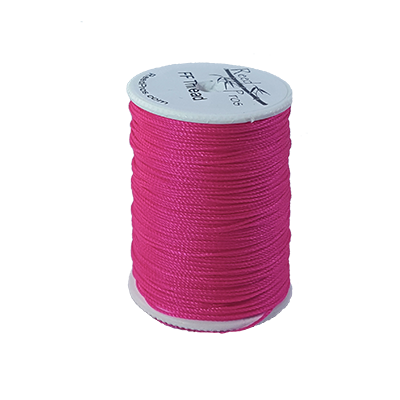 Spools have 165 yards of nylon thread. 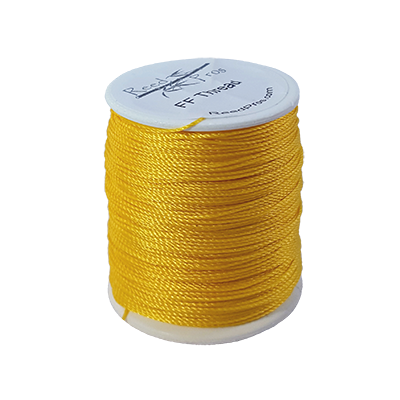 They are the perfect size to easily handle when tying. Available in FF so the thread is ultra strong. There's no need to have boring reed colors. 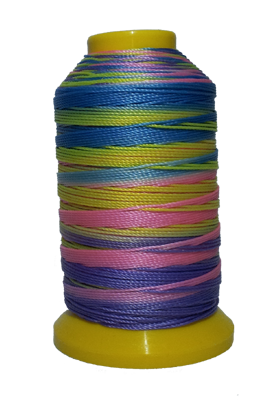 Enjoy our vibrant, beautiful reed thread! The Chartreuse color tends to be a favorite among my students. 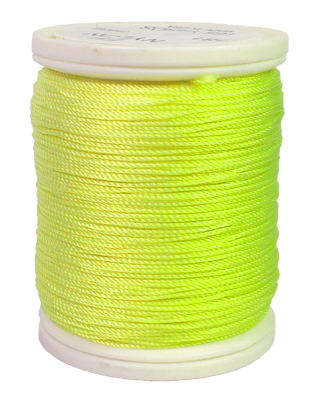 It looks like a neon yellowish green. 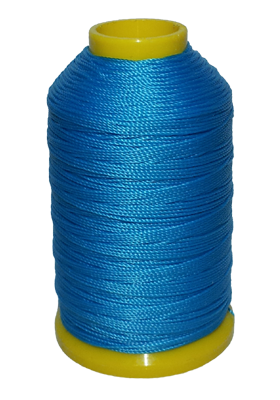 This spool has 200 yards of nylon thread. They are the perfect size to easily handle when tying. Available in FF so the thread is ultra strong. 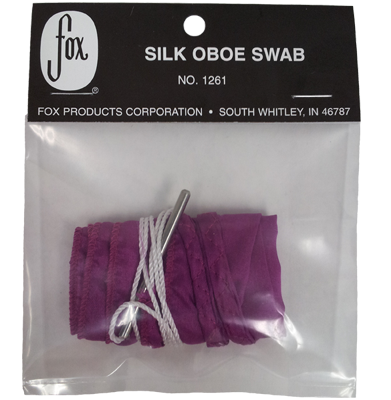 Fox Silk Oboe Swabs are a wonderful alternative to cotton swabs. 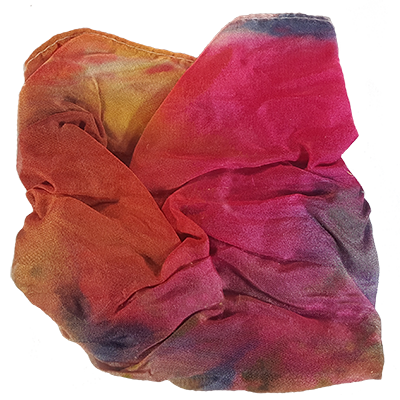 The fabric is absorbant but won't leave behind any fuzz or lint debris the way cotton can. 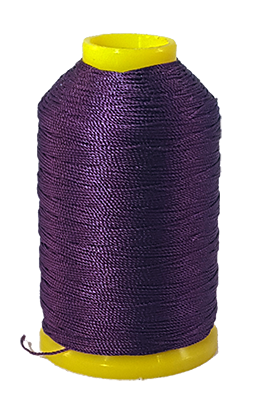 Silk pulls through the instrument easily and is much less likely to get stuck in the bore. 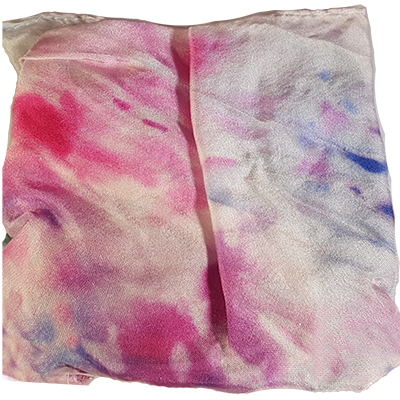 These lovely tie dye swabs are one of a kind. No two will look alike. Colors and patterns may vary. 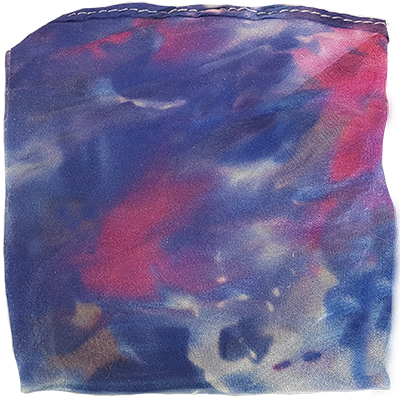 We do our best to categorize them based on similar colors and patterns, but the swab you purchase will have variations from the picture. 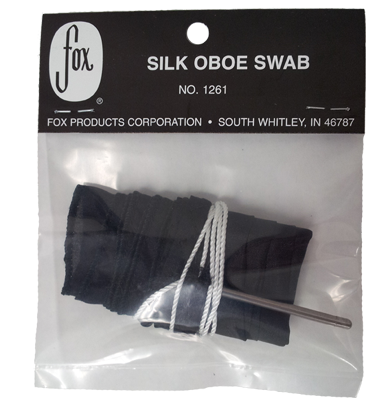 Silk Oboe Swabs are a wonderful alternative to cotton swabs. 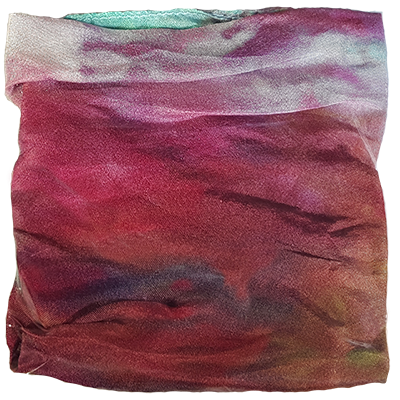 The fabric is absorbant but won't leave behind any fuzz or lint debris the way cotton can. 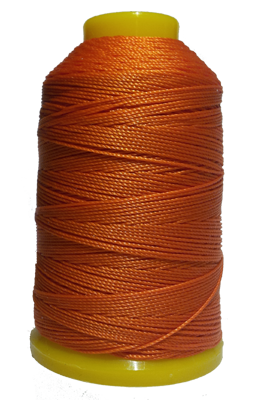 Silk pulls through the instrument easily and is much less likely to get stuck in the bore. 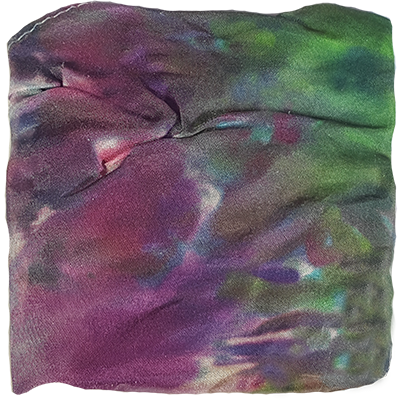 The TieDye swabs do not have a tail. 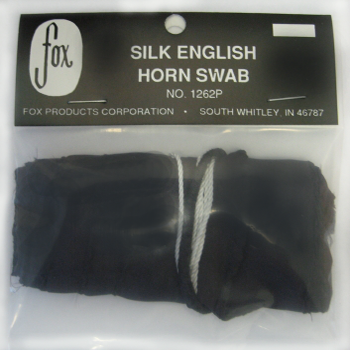 Fox Silk English Horn Swabs are a wonderful alternative to cotton swabs. 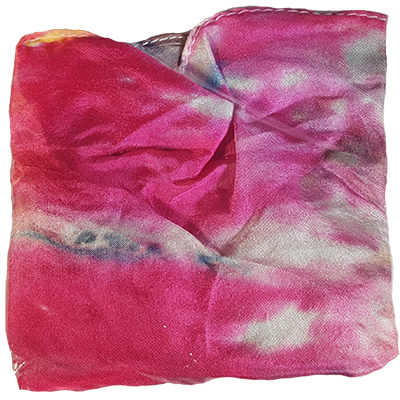 The fabric is absorbant but won't leave behind any fuzz or lint debris the way cotton can. 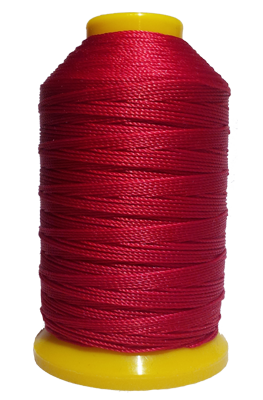 Silk pulls through the instrument easily and is much less likely to get stuck in the bore. 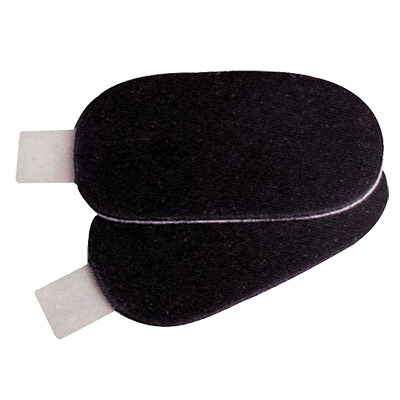 Thumb rests or thumb cushions help ease soreness. 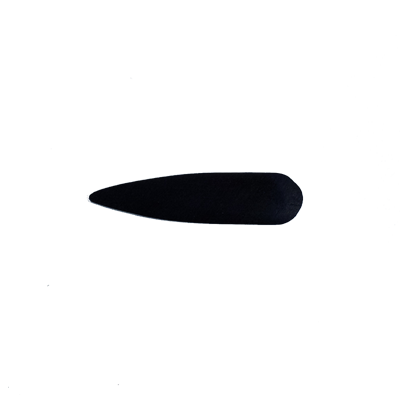 Provides added comfort and more natural hand position when playing. Reduces hand fatigue. Made of black foam rubber. Fairly soft density. Perfect for clarinet or oboe. Thumb rests or thumb cushions help ease soreness. Provides added comfort and more natural hand position when playing. Reduces hand fatigue. 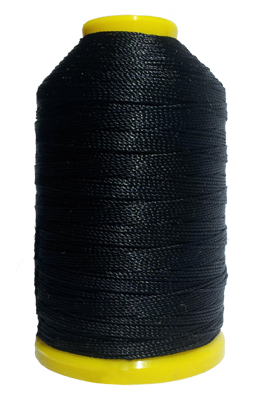 Made of black rubber. 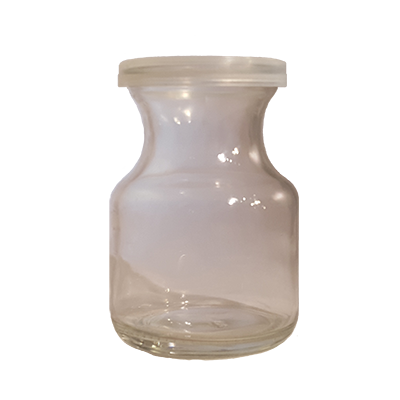 Perfect for clarinet or oboe. Save a thumb today! Not using enough cork grease can cause squeezing the oboe or clarinet keys in order to put the instrument together. This can bend the keys and rods leading to the instrument being out of adjustment. So don't forget to use cork grease! 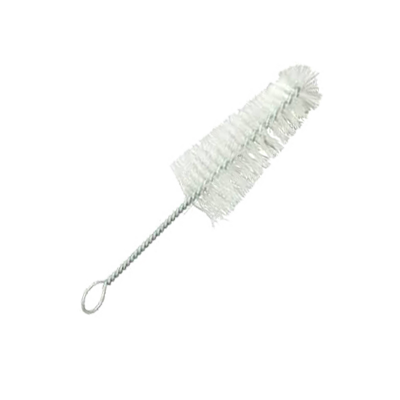 This is a specially designed brush to remove residue and dirt from around key posts, springs and hard to get areas. 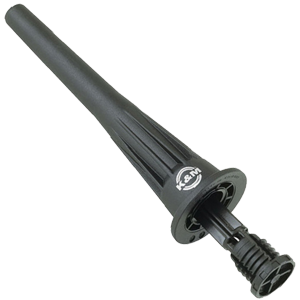 Ideal for cleaning under key rods. Cleaning around posts and rods is an important part of maintenance. 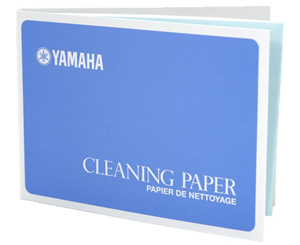 Keep your pads responding correctly with Yamaha's pad cleaning papers. 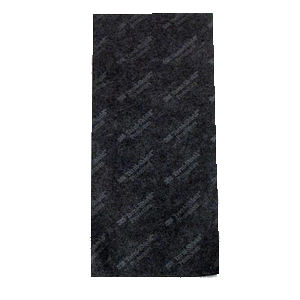 Perfect for removing moisture, oil, dust, etc. from the pads in order to extend their service life. These papers do not contain powder. 70 sheets per pack. Keep your instrument's keys looking brand new! 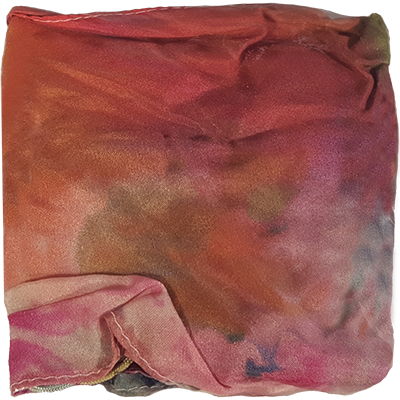 Specially treated, lint free, non-greasy, non-abrasive cloth leaves an invisible coating that guards against fingerprints, damaging perspiration and tarnish. Keep your instrument's keys looking brand new! 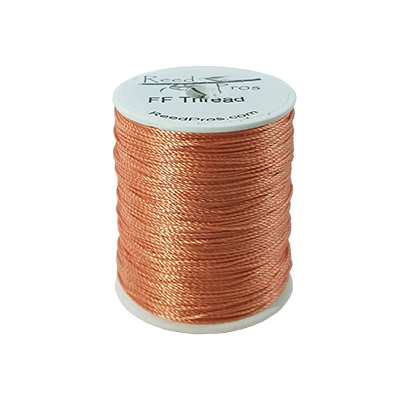 Chemically treated paper protects silver, nickel, copper, bronze, brass, and gold for pproximately 6 months. Simply keep in your case but do not put directly on top of the metal. Keep strips sealed in zip bag to preserve chemical until ready for use. This plastic oboe stand is lightweight and collapsible. It folds neatly with the two parts securely attaching together. The stand is sturdy and perfect for taking to rehearsals. 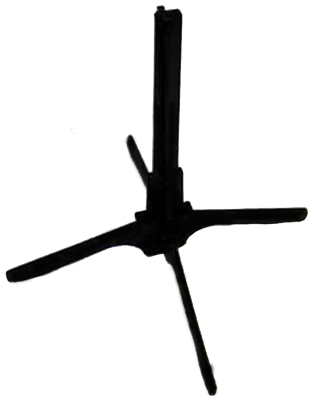 The K & M oboe stand has a 4 leg base. 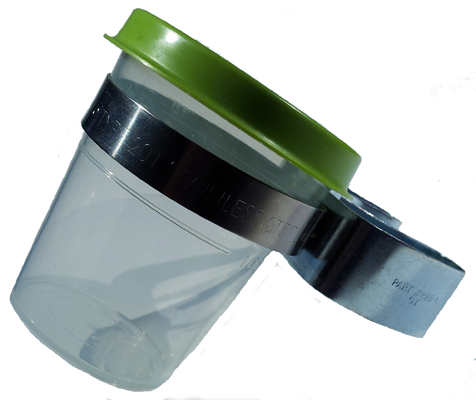 Strong, sturdy, retractable metal legs fold easily into the peg and stay there while it's in the pocket of your case. 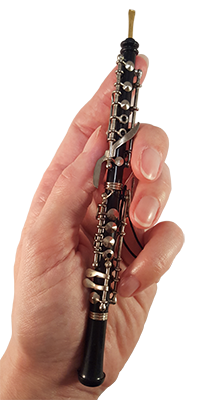 Tiny in size, yet super stable support for your oboe. Ready to use in 10 seconds -- folds away even faster! Peg measures 6" tall by 1.75" wide. This plastic English Horn stand is lightweight and collapsible. It folds neatly with the two parts securely attaching together. The stand is sturdy and perfect for taking to rehearsals. The perfect cup for soaking reeds. The clear, plastic cup holds 2 ounces of liquid and features a watertight cap. No need to worry about spilled water in your music bag! The metal clip attaches to most Manhasset type music stands to keep your precious reeds off the floor and away from accidentally being kicked. Metal clip will not fit on fold up wire music stands. The perfect cup for soaking reeds. 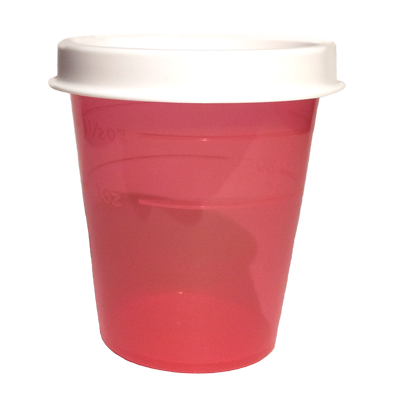 The plastic cup holds 2 ounces of liquid and features a watertight cap. 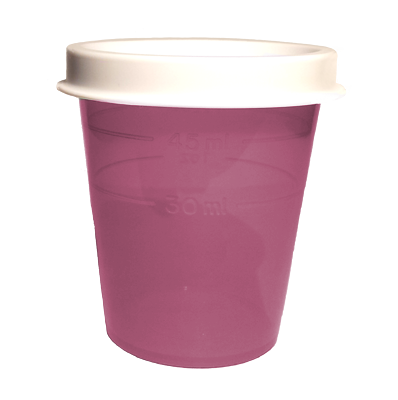 No need to worry about spilled water in your music bag! The metal clip attaches to most Manhasset type music stands to keep your precious reeds off the floor and away from accidentally being kicked. Metal clip will not fit on fold up wire music stands. The perfect cup for soaking reeds. The clear, plastic cup holds 2 ounces of liquid and features a watertight cap. No need to worry about spilled water in your music bag! The metal clip attaches to most Manhasset type music stands to keep your precious reeds off the floor and away from accidentally being kicked. Metal clip will not fit on fold up wire music stands. 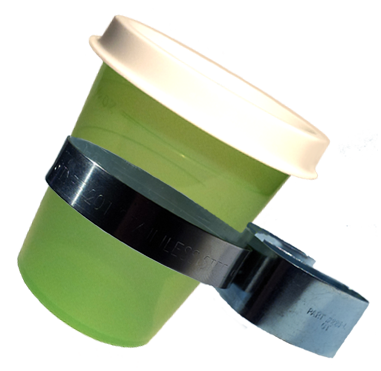 Metal stand clip and soaker cup available for purchase as a unit or separately. This is our Reed Making Adjustment Kit. If you are needing to scrape reeds already purchased from another source to your own liking, this kit is perfect. 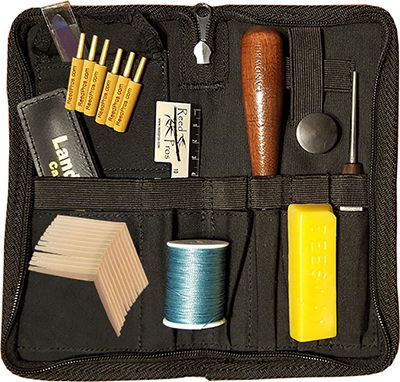 Does this kit contain all the items you will need for reedmaking? Please see our Reedmaking Guide . Be sure to check with your oboe instructor for all required equipment, or give us a call! 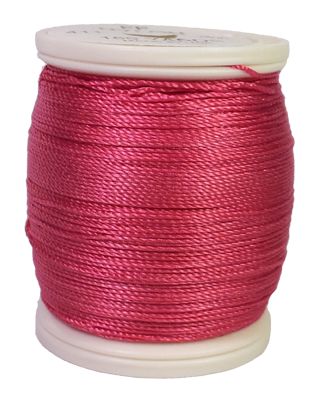 We can point you in the right direction for the items you will need or are missing for your next reedmaking lesson. Right or Left handed reed knife with one sided bevel. This is Rigotti's Reed Making Kit. If you are needing to scrape reeds already purchased from another source to your own liking, this kit is perfect. Flat steel pointed ends plaque. 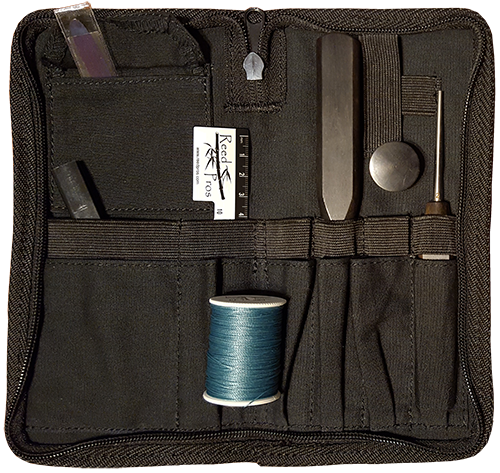 Button wallet style tool pouch. 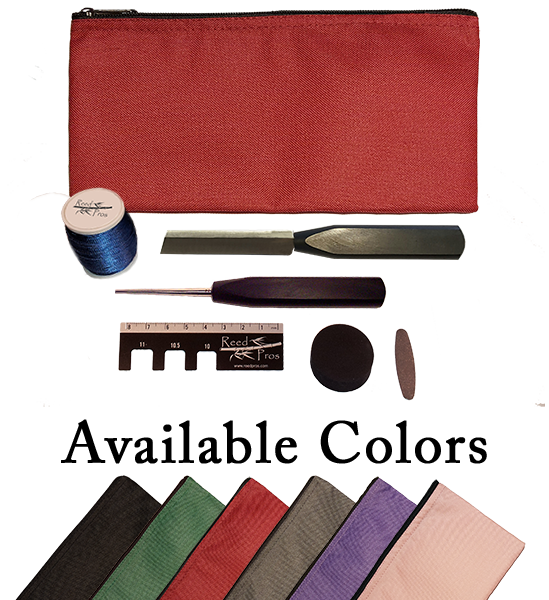 This is our Oboe Reed Making Standard Plus Kit. Save 20% off the retail prices! This kit contains everything you need to get started making your own oboe reeds! Vitry style double hollow ground reed knife. Not pre-sharpened so right or left handed is not an issue. 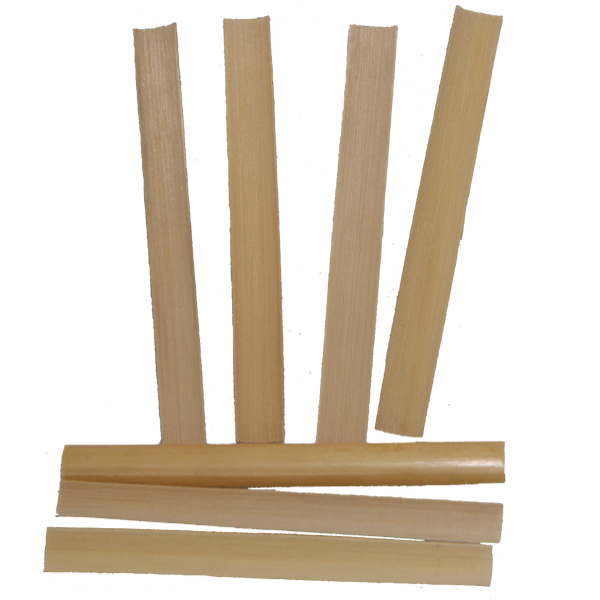 Three pieces of gouged, shaped and folded oboe cane. This is our Oboe Reed Making Standard Kit. Save 20% off the retail prices! Get started making your own oboe reeds! Reed Pros combo ruler and gauge. 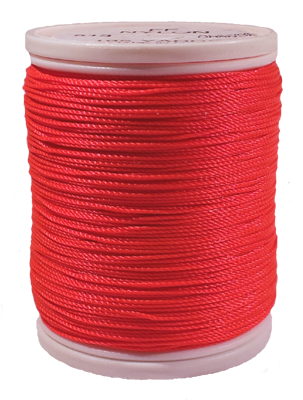 Spool of thread (may not be the color shown in photo). 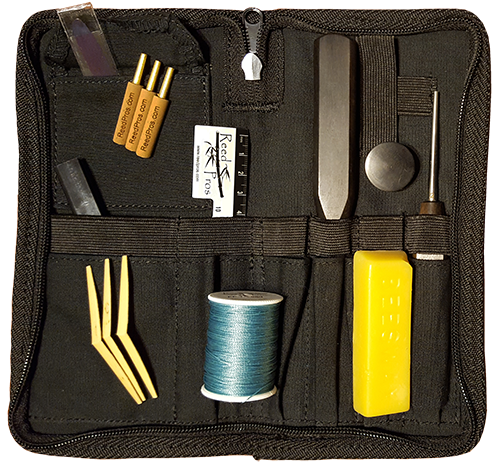 Nylon zippered single pocket tool pouch. 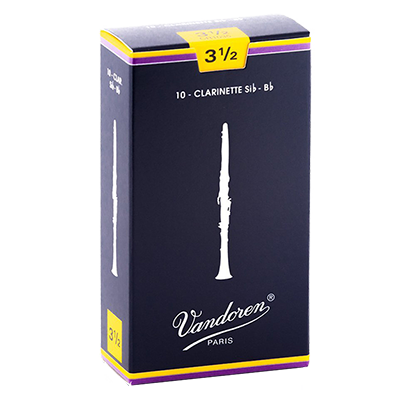 You are purchasing these Bb Soprano Clarinet reeds as a box of 10 reeds. Rico Bb Clarinet Reeds are sold individually. Buy as many or as few as you like! Rico Alto Saxophone Reeds are sold individually. Buy as many or as few as you like! 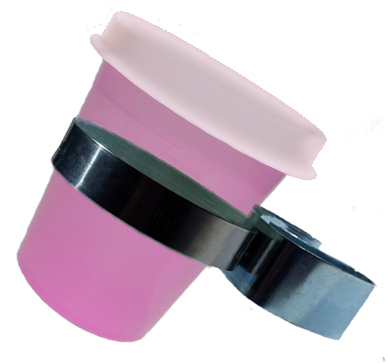 Suitable for use on clarinet or saxophone mouthpieces. 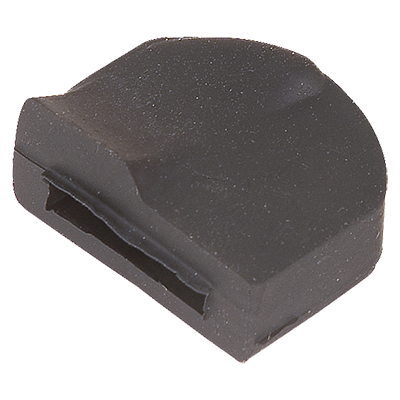 Black self-adhesive cushions, protects mouthpiece from teeth marks, reduces vibrations on the teeth and prevents teeth from sliding. The saver can be trimmed with scissors for an individualized fit. Package contants 2 patches. 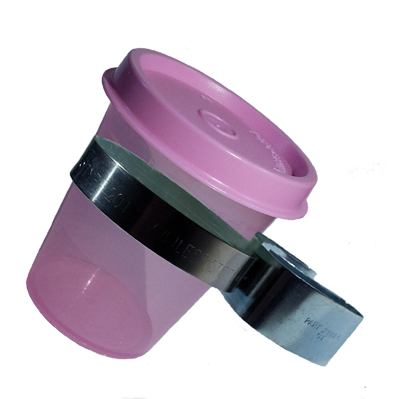 Keeping your mouthpiece clean keeps you sounding your best and prevents you from getting sick. Be careful not to drop your mouthpiece while cleaning it. You could knock a chip out of the tip or the sides and then it is ruined. Don't use hot water! The mouthpiece could warp. 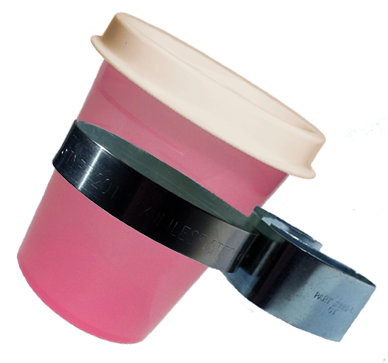 Signs your mouthpiece needs cleaning: The reed sticks to the mouthpiece without a ligature. The reed is near impossible to remove from the mouthpiece when the ligature isn't there. Crusty deposits have formed inside or outside. The mouthpiece has an odor. While scrubbing with soap and water may not remove everything, it will get most of it and certainly disinfect it. Believe it or not, our instruments and mouthpieces are prime breeding ground for contagions similar to tuberculosis. 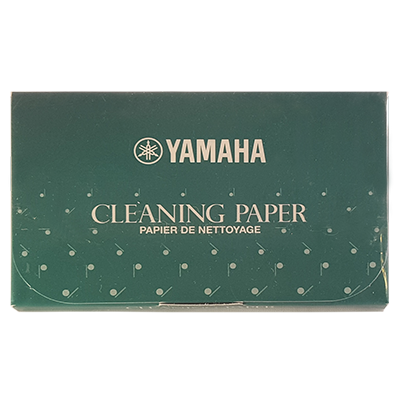 Keep your pads responding correctly with Yamaha's pad cleaning papers. Perfect for removing moisture, oil, dust, etc. from the pads in order to extend their service life. 100 sheets per pack. Folding Pack A Stand clarinet stand stores in the bell of the instrument. 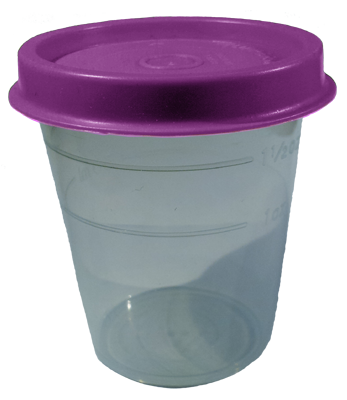 Made from high-tech plastic, the stand is compact and won't harm your clarinet. 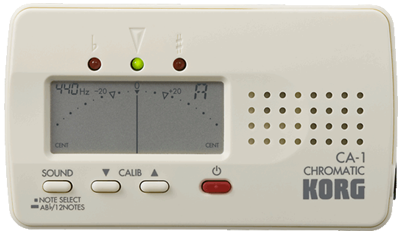 Ultra-compact, LCD Needle-Style Chromatic Tuner. Rhythm pattern: Duplets, triplets, triplets without the center beat, quadruplets, and quadruplets without the center beats. with the third and fourth beats omitted). Earphone jack with adjustable volume for external speaker or headphones (earphones not included). Three energy-efficient LEDs cast bright white light. 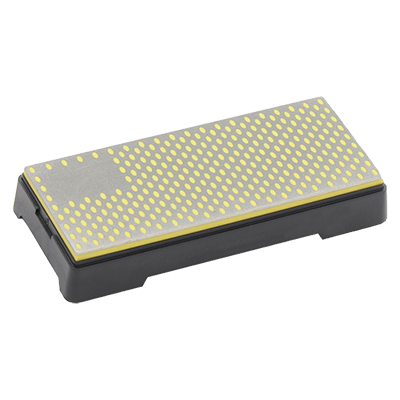 Durable LEDs last 100,000 hours - no replacement necessary. 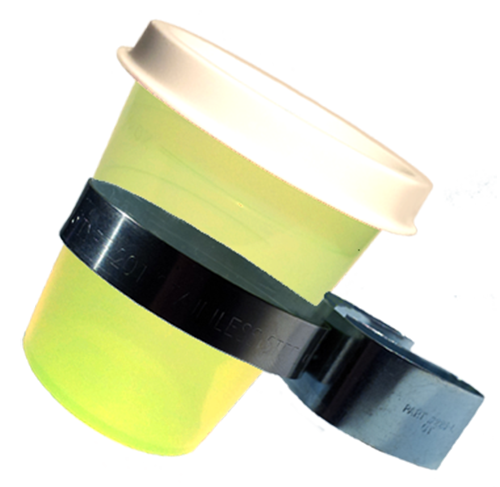 Precisely engineered optical grade lens spreads light evenly. Wide clip holds light securely to music stands. Powered by 3 AAA batteries (included) or optional AC adapter (sold separately). 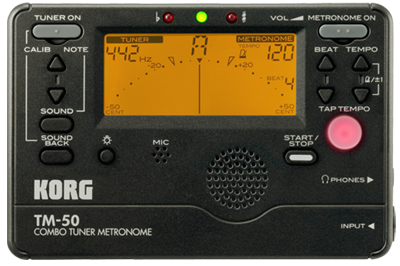 Compact design for portability to music gigs. 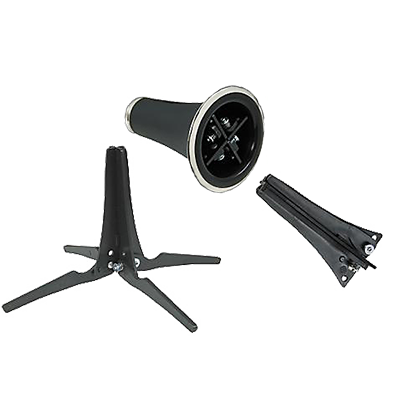 Stand is lightweight metal with flat black finish. Smooth operating automatic clutch for height adjustment. Height adjusts from 23-44 inches. Fixed angle American style desk with wires to hold music. Legs adjust with knob that can't be removed or lost. 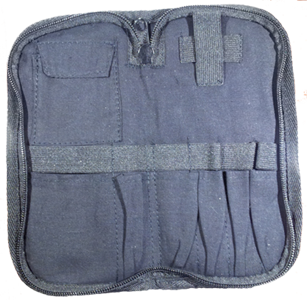 Comes with nylon carrying bag with an adjustable strap and Velcro closure. 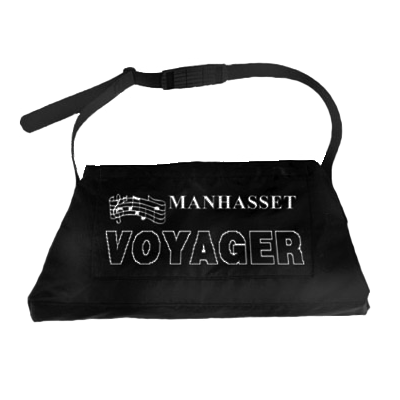 Designed for the musician demanding portability without sacrificing any Manhasset quality. 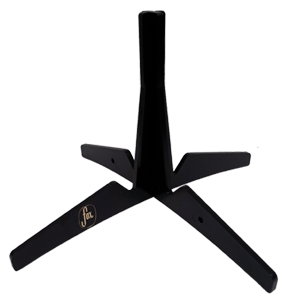 This highly portable concert style music stand sports the same built-in features that have made Manhasset famous since 1935. Perfect for touring musicians or groups, the Voyager has the same solid, adjustable desk, yet is completely portable. With the Voyager's twist locking mechanism it only takes a second to assemble or remove the desk and with only two parts to keep track of, the Voyager can also be stored or transported in its own tote bag (sold separately). The Voyager desk is identical to the Symphony Stand desk (20" wide x 12 1/2" high). 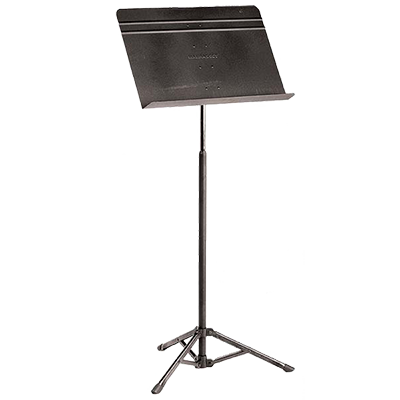 The height of this music stand varies infinitely from 26" to 48" (lip to floor) with a maximum overall height of 60 1/2 inches. 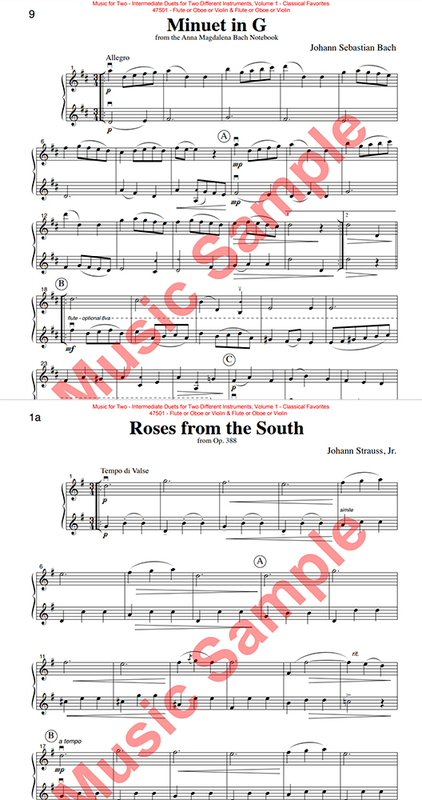 The perfect sheet music for Christmas gigs, parties, or just for the fun of it! 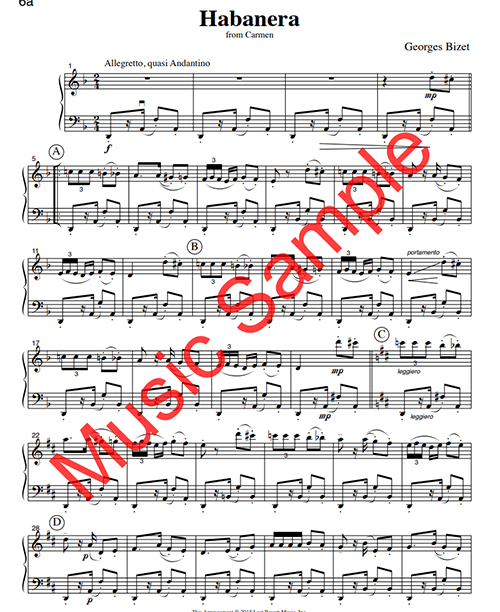 This book can be played by solo oboe or solo flute or solo violin and piano accompaniment. Sheet music is a non-refundable and non-returnable purchase. Please ask questions before ordering. The Intermediate books are easier than the rest of the book series, and to progress to the level of the original series. However, the Intermediate books include different repertoire and can be used along with the original series. The grade level of the music ranges from 2-5 depending on the repertoire. The books are not designed for absolute beginners. 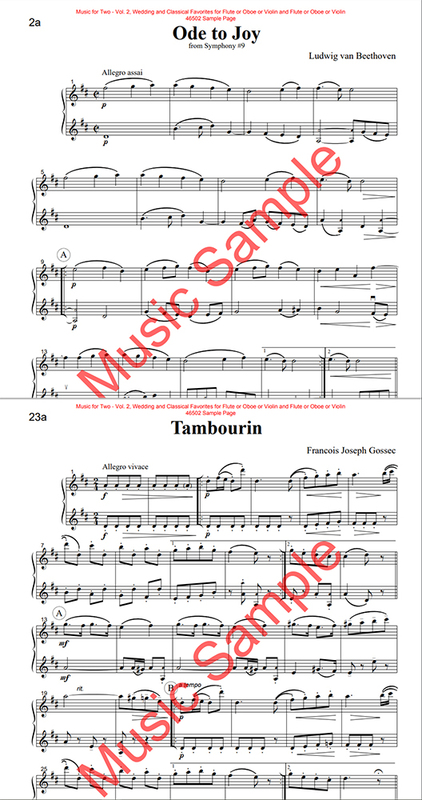 The perfect sheet music for weddings, corporate events, gigs, parties, or just for the fun of it! 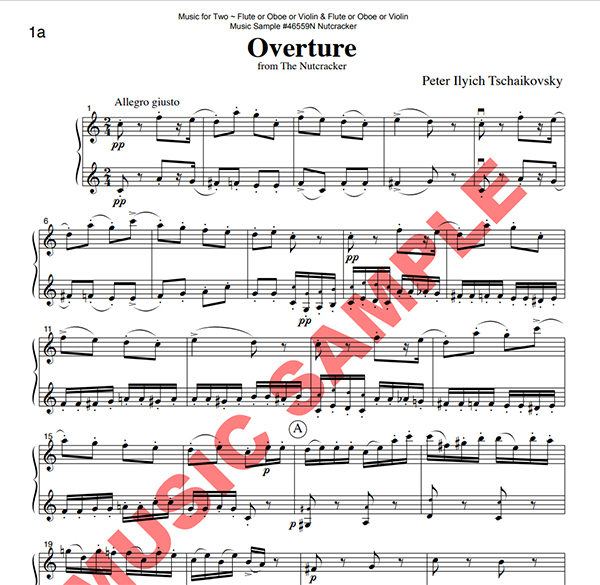 This book can be played by oboe or flute or violin and piano accompaniment. 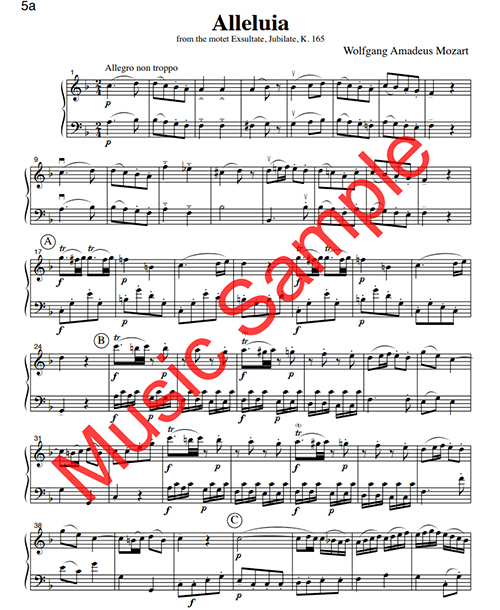 Romanza from String Quartet in G Major, K. 525 - "Eine Kleine Nachtmusik"
The perfect sheet music for Wedding gigs, parties, or just for the fun of it! This book can be played by solo oboe and piano accompaniment. 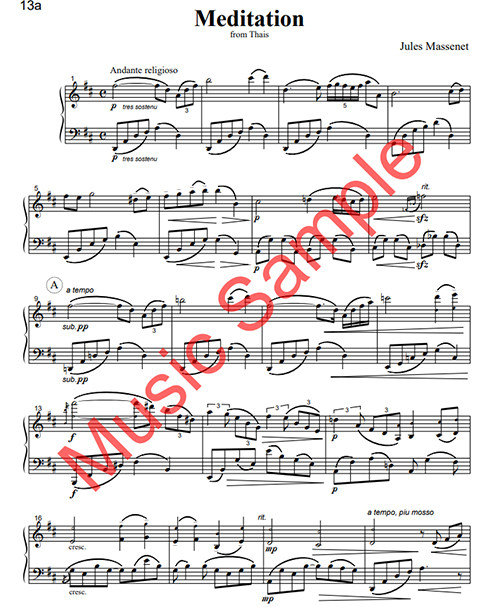 Includes a solo insert and piano score. 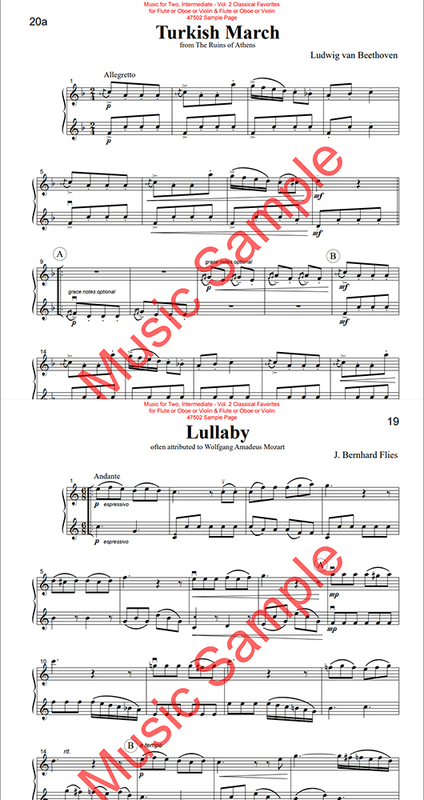 The perfect sheet music for Wedding gigs, parties, or just for the fun of it! This brand new collection contains two Vivaldi oboe concertos and one of his most beautiful arias, all arranged for oboe and piano accompaniment. The aria is Vedrò con mio diletto from the opera, Il Giustino. 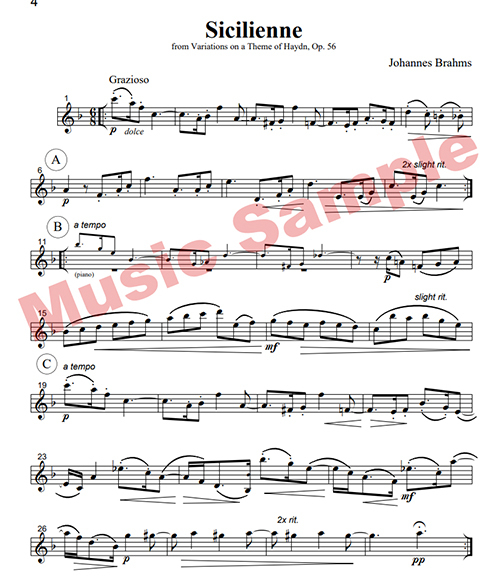 One of Vivaldi's most lyric arias, it has been transcribed for both oboe and English horn. The concertos are the Concerto in C Major, RV 450, and the Concerto in Bb major, RV 465, each a fabulous showcase for the oboist. 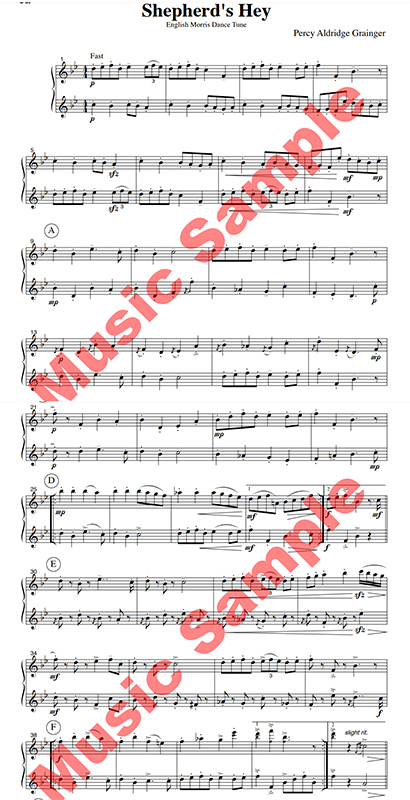 Includes a solo insert and piano score. 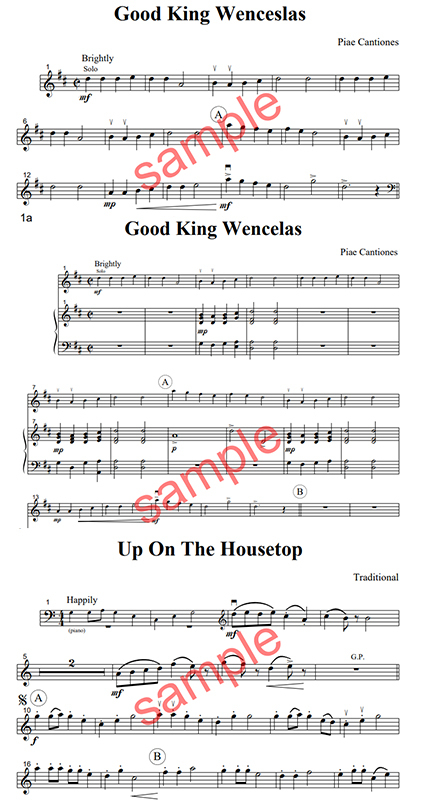 The perfect sheet music for Christmas gigs, parties, or just for the fun of it! 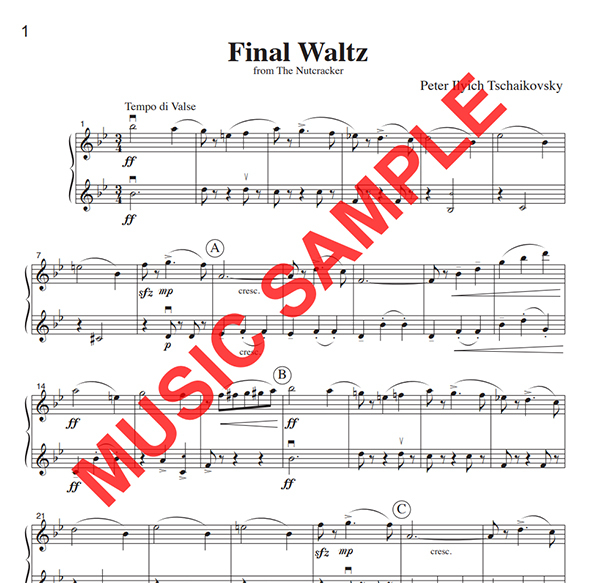 Includes a solo insert and piano score. 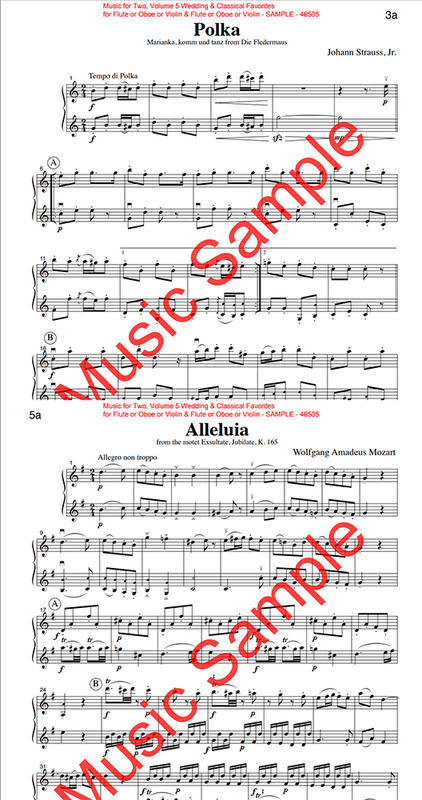 The perfect sheet music for weddings, corporate events, gigs, parties, or just for the fun of it! This book can be played by two oboes, two flutes, two violins, or any of those instrument combinations. The Intermediate books are easier than the rest of the book series, and to progress to the level of the original series. However, the Intermediate books include different repertoire and can be used along with the original series. The grade level of the music ranges from 2-5 depending on the repertoire. The books are not designed for absolute beginners. 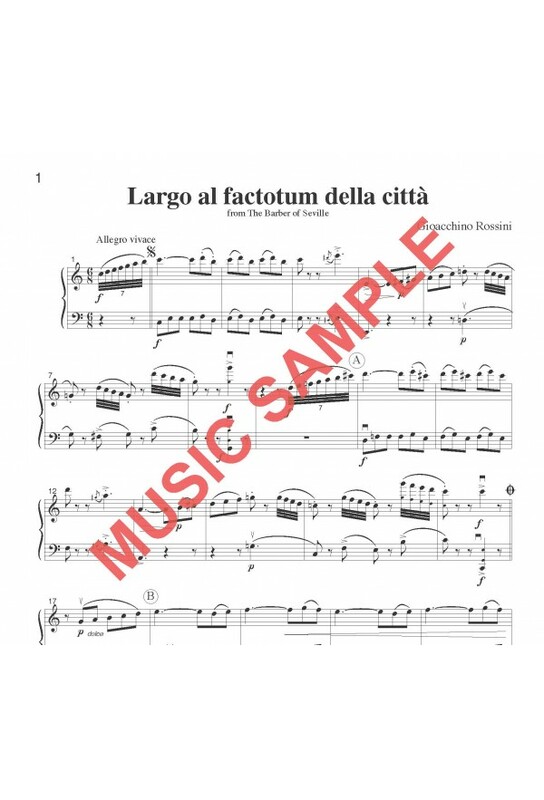 Each duet book is published in score form (both parts on the same page) so that the players can play from the same part. All duets are arranged specifically for the listed instrumentation and cannot be used with a duet book from another series. 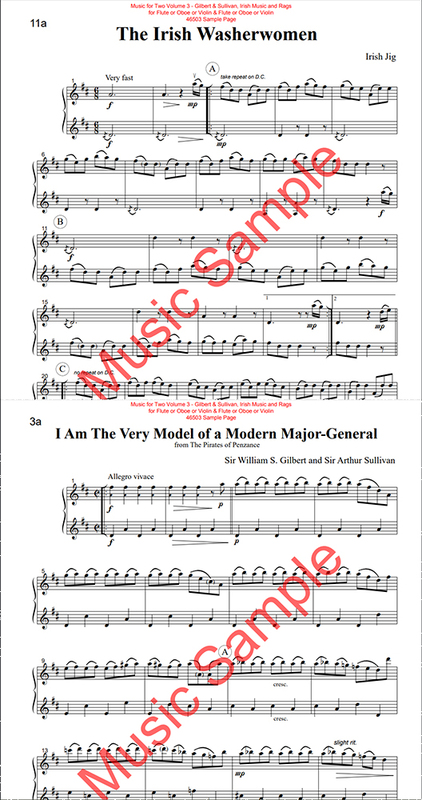 The perfect sheet music for weddings, corporate events, gigs, parties, or just for the fun of it! This book can be played by oboe, flute, violin, AND cello or bassoon. The perfect sheet music for weddings, corporate events, gigs, parties, or just for the fun of it! 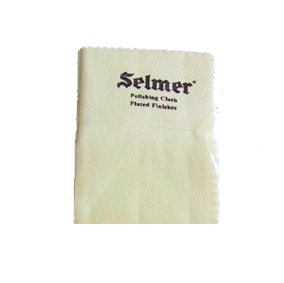 This book can be played by oboe or flute or violin AND Cello or Bassoon. 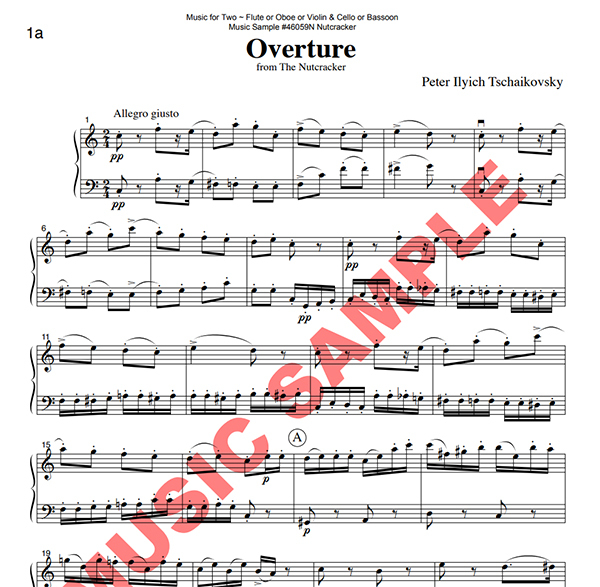 The perfect sheet music for weddings, corporate events, gigs, parties, or just for the fun of it! This book can be played by Flute or Oboe or Violin AND Cello or Bassoon. 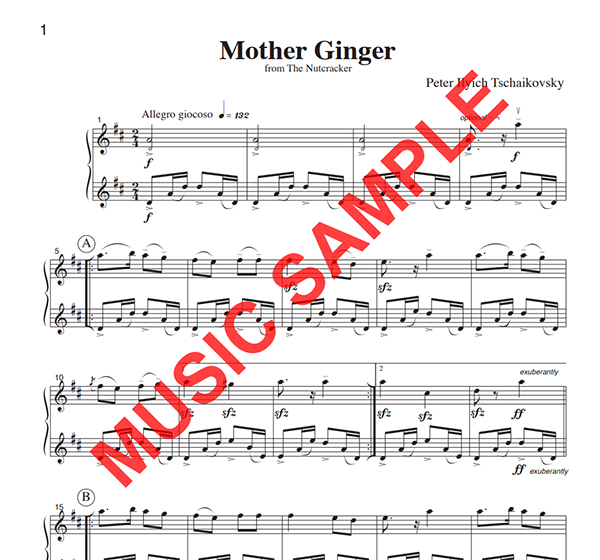 The perfect sheet music for weddings, parties, Christmas gigs, or just for the fun of it! This book can be played by two oboes. 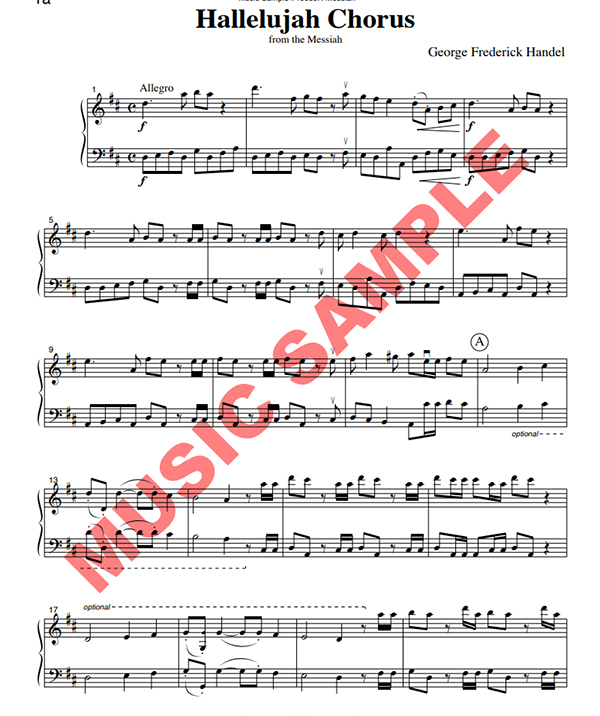 Each duet book is published in score form (both parts on the same page) so that the players can play from the same part. All duets are arranged specifically for the listed instrumentation and cannot be used with a duet book from another series. 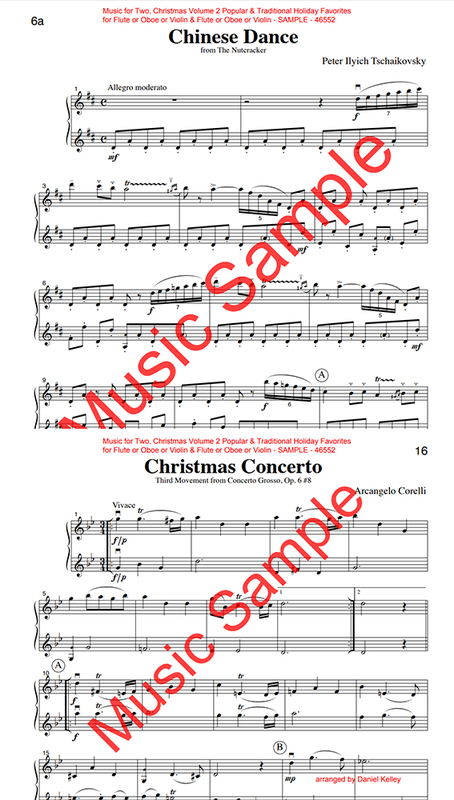 The perfect sheet music for Christmas gigs, weddings, parties, or just for the fun of it! This book can be played by two oboes. 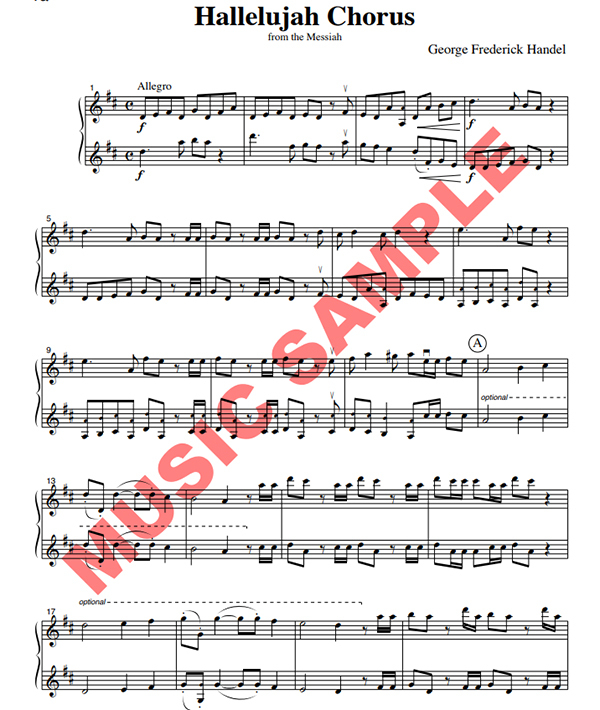 Each duet book is published in score form (both parts on the same page) so that the players can play from the same part. All duets are arranged specifically for the listed instrumentation and cannot be used with a duet book from another series. 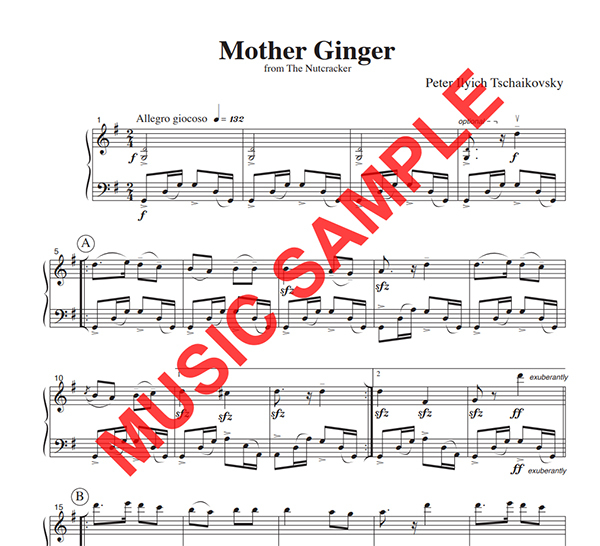 The perfect sheet music for Christmas gigs, parties, or just for the fun of it! This book can be played by two oboes, two flutes, two violins, or any of those instrument combinations. The Intermediate books are easier than the rest of the book series. The grade level of the music ranges from 2-5 depending on the repertoire. The books are not designed for absolute beginners. 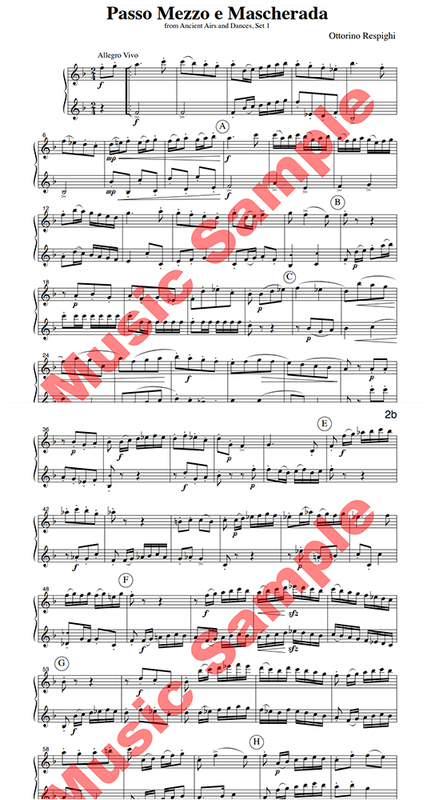 Each duet book is published in score form (both parts on the same page) so that the players can play from the same part. All duets are arranged specifically for the listed instrumentation and cannot be used with a duet book from another series. The Messiah (Handel) Hallelujah Chorus, He Shall Feed His Flock, Pastoral Symphony "Pifa"
Five movements from Tschaikovsky’s brilliant Nutcracker ballet including the Overture, Dance of the Sugar Plum Fairy, Trepak, Chinese Dance and Dance of the Reed Flutes. Don’t miss the other 3 Sets of Nutcracker Duets! 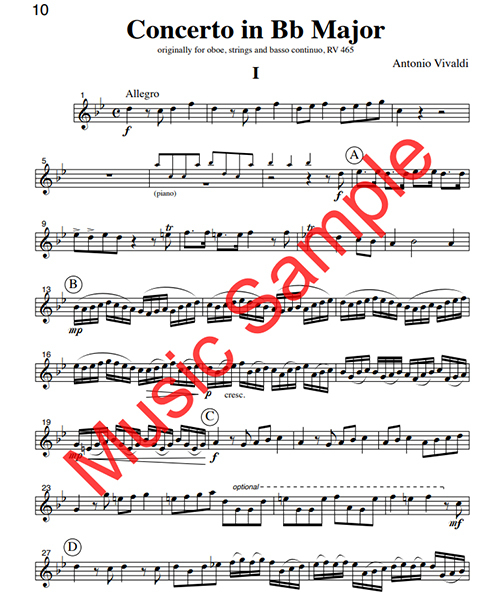 *Please note - these arrangements can also be found in separate volumes published by Last Resort Music* This book can be played by Flute OR Oboe OR Violin AND Cello OR Bassoon. 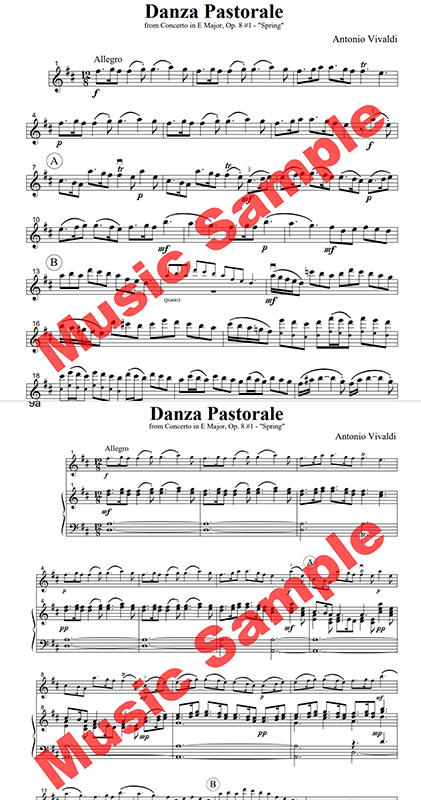 Each duet book is published in score form (both parts on the same page) so that the players can play from the same part. All duets are arranged specifically for the listed instrumentation and cannot be used with a duet book from another series. Five movements from Tschaikovsky’s brilliant Nutcracker ballet including the Overture, Dance of the Sugar Plum Fairy, Trepak, Chinese Dance and Dance of the Reed Flutes. Don’t miss the other 3 Sets of Nutcracker Duets! 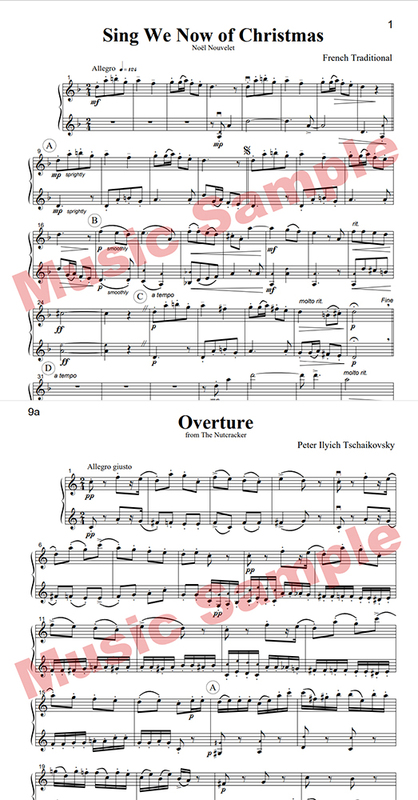 *Please note - these arrangements can also be found in separate volumes published by Last Resort Music* This book can be played by Flute OR Oboe OR Violin AND Flute OR Oboe OR Violin. 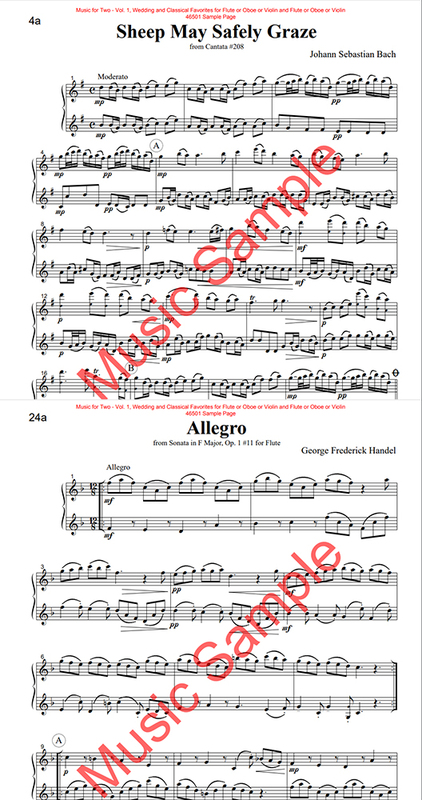 Each duet book is published in score form (both parts on the same page) so that the players can play from the same part. All duets are arranged specifically for the listed instrumentation and cannot be used with a duet book from another series. Enjoy the antics of Mother Ginger and her Bon Bons from Act II and then celebrate the sweets of the holiday season with the Spanish Dance, Chocolate. The Snowy Pine Forest is a beautiful movement from Scene VII (Journey through the Snow). Clara and the Nutrcracker is a delightful movement depicting Clara's dance with the new Nutcracker given to her by Drosselmeyer in Act I. This book can be played by Flute OR Oboe OR Violin AND Cello OR Bassoon. 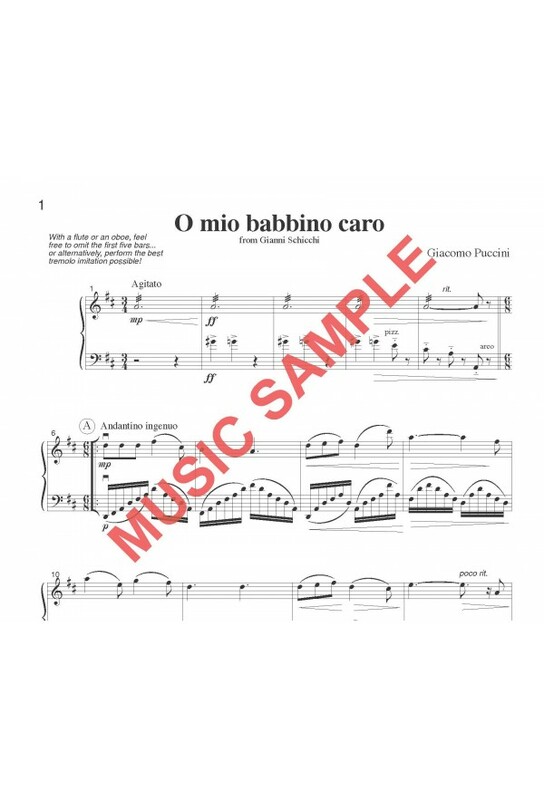 Each duet book is published in score form (both parts on the same page) so that the players can play from the same part. All duets are arranged specifically for the listed instrumentation and cannot be used with a duet book from another series. Enjoy the antics of Mother Ginger and her Bon Bons from Act II and then celebrate the sweets of the holiday season with the Spanish Dance, Chocolate. The Snowy Pine Forest is a beautiful movement from Scene VII (Journey through the Snow). Clara and the Nutrcracker is a delightful movement depicting Clara's dance with the new Nutcracker given to her by Drosselmeyer in Act I. This book can be played by Flute OR Oboe OR Violin AND Flute or Oboe or Violin. Each duet book is published in score form (both parts on the same page) so that the players can play from the same part. All duets are arranged specifically for the listed instrumentation and cannot be used with a duet book from another series. A terrific three movement set including the Pas de Deux, Final Waltz and Apotheosis from Tschaikovsky's Nutcracker! The Pas de Deux is visually stunning, musically gorgeous and one the most awaited moments from Act II. It is part of the entertainment in the Kingdom of Sweets to reward Clara for her help in saving the life of the Nutcracker and defeating the Mouse King. The Final Waltz is a grand summation of all the magic and is immediately followed by the Apotheosis which, in the original libretto "represents a large beehive with flying bees, closely guarding their riches”. This book can be played by Flute OR Oboe OR Violin AND Cello OR Bassoon. Each duet book is published in score form (both parts on the same page) so that the players can play from the same part. All duets are arranged specifically for the listed instrumentation and cannot be used with a duet book from another series. A terrific three movement set including the Pas de Deux, Final Waltz and Apotheosis from Tschaikovsky's Nutcracker! The Pas de Deux is visually stunning, musically gorgeous and one the most awaited moments from Act II. It is part of the entertainment in the Kingdom of Sweets to reward Clara for her help in saving the life of the Nutcracker and defeating the Mouse King. The Final Waltz is a grand summation of all the magic and is immediately followed by the Apotheosis which, in the original libretto "represents a large beehive with flying bees, closely guarding their riches”. This book can be played by Flute OR Oboe OR Violin AND Flute or Oboe or Violin. Each duet book is published in score form (both parts on the same page) so that the players can play from the same part. All duets are arranged specifically for the listed instrumentation and cannot be used with a duet book from another series. A delightful set of four duets including Waltz of the Flowers, March, Tarantella and Children's Galop from Tschaikovsky's Nutcracker! The Waltz of the Flowers from Act II is the final movement of Tchaikovsky's concert suite. The March appears early in the Act I and is part a lively party scene of dancing, games, and merriment. 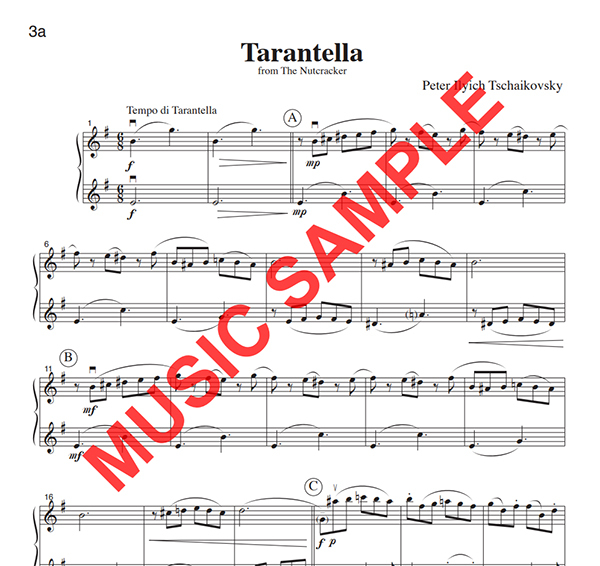 The Tarantella is a very fast dance movement in 6/8 and is traditionally performed by a male dancer immediately following the Pas de Deux. The Children’s Galop is an absolutely delightful movement from Act I and is the perfect addition to any holiday performance! This book can be played by Flute OR Oboe OR Violin AND Cello OR Bassoon. Each duet book is published in score form (both parts on the same page) so that the players can play from the same part. All duets are arranged specifically for the listed instrumentation and cannot be used with a duet book from another series. A delightful set of four duets including Waltz of the Flowers, March, Tarantella and Children's Galop from Tschaikovsky's Nutcracker! The Waltz of the Flowers from Act II is the final movement of Tchaikovsky's concert suite. The March appears early in the Act I and is part a lively party scene of dancing, games, and merriment. 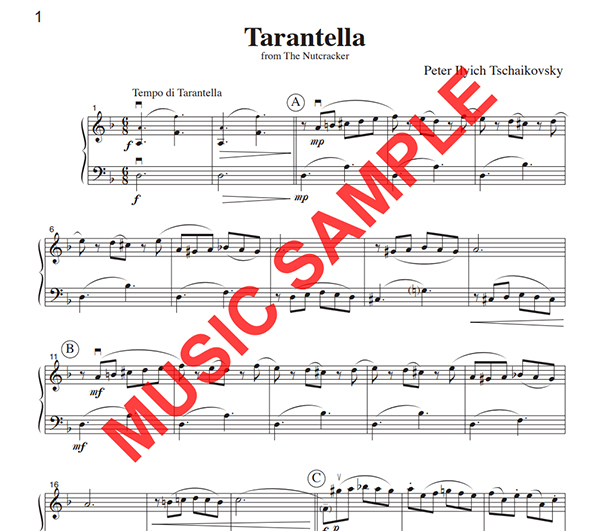 The Tarantella is a very fast dance movement in 6/8 and is traditionally performed by a male dancer immediately following the Pas de Deux. The Children’s Galop is an absolutely delightful movement from Act I and is the perfect addition to any holiday performance! This book can be played by Flute OR Oboe OR Violin AND Flute or Oboe or Violin. Each duet book is published in score form (both parts on the same page) so that the players can play from the same part. All duets are arranged specifically for the listed instrumentation and cannot be used with a duet book from another series. ​​​​​​​A beautiful new setting of the classic holiday song! 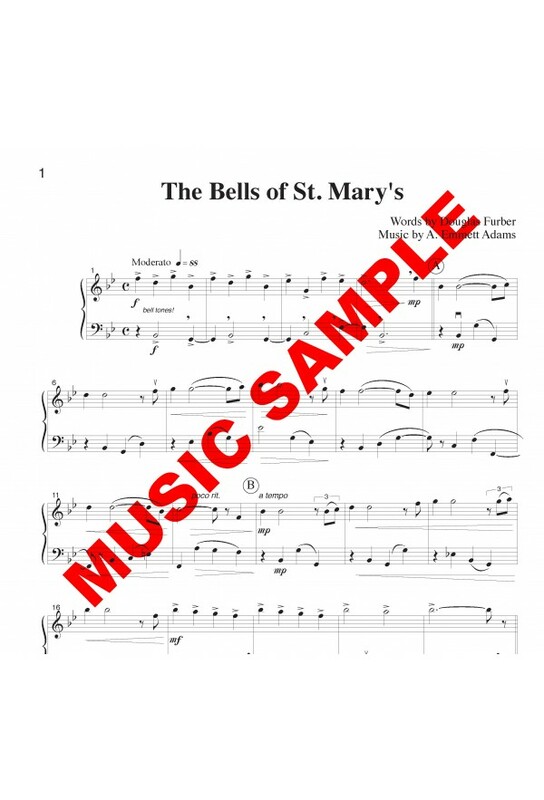 This beloved melody was featured in the 1945 movie The Bells of St. Mary’s, sung by the incomparable Bing Crosby. It has since been recorded countless times by artists such as The Drifters (1954), Andy Williams (1965), Aaron Neville (1993) and Sheryl Crow (2008). 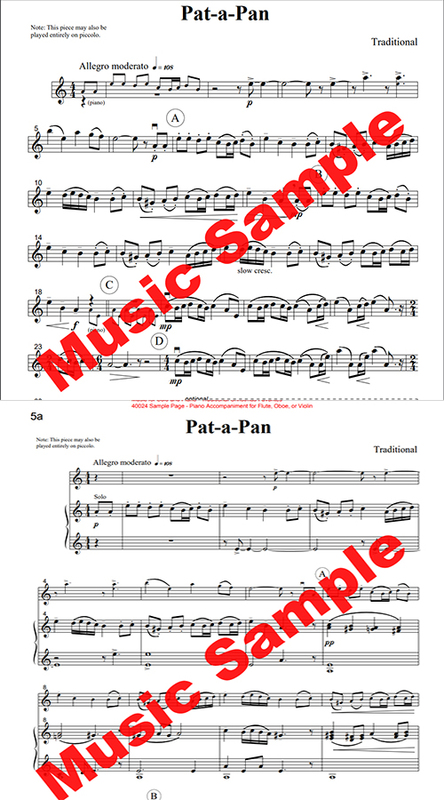 Each duet book is published in score form (both parts on the same page) so that the players can play from the same part. All duets are arranged specifically for the listed instrumentation and cannot be used with a duet book from another series. The Intermediate books are easier than the rest of the book series, and to progress to the level of the original series. However, the Intermediate books include different repertoire and can be used along with the original series. 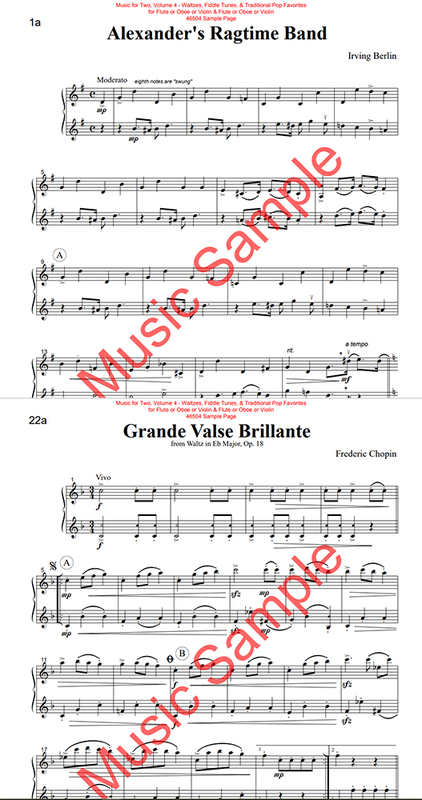 The grade level of the music ranges from 2-5 depending on the repertoire. The books are not designed for absolute beginners. 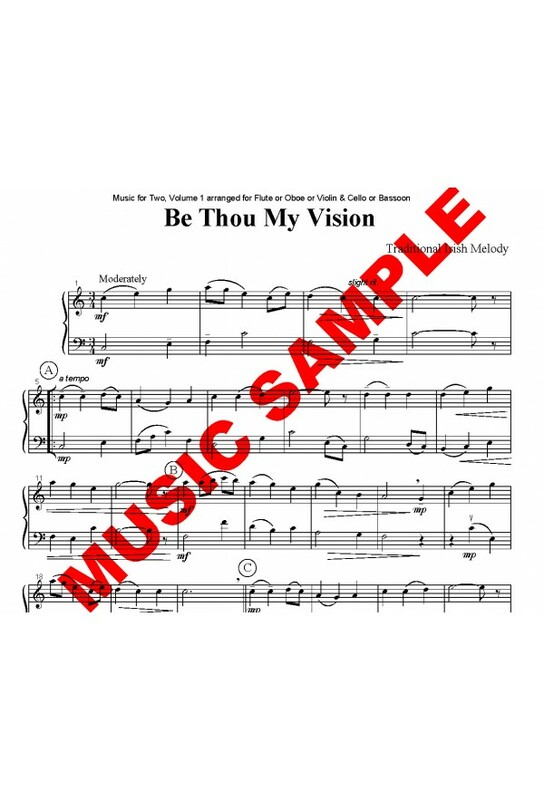 BeThou My Vision - Duet for Strings or Woodwinds - Choose your instrumentation! 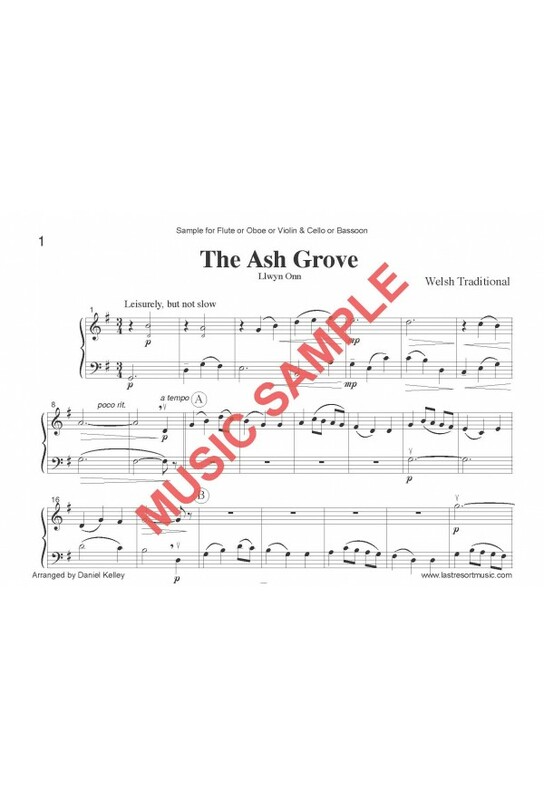 Don't miss this gorgeous new arrangement of The Ash Grove for small ensemble! This beloved Welsh Folk Song is perfect for any occasion and has been set to countless lyrics. Also known as, Llwyn Onn, it tells of a sailor's love for "Gwen of Llwyn". This book can be played by Flute OR Oboe OR Violin AND Cello OR Bassoon. The books are not designed for absolute beginners. Each duet book is published in score form (both parts on the same page) so that the players can play from the same part. All duets are arranged specifically for the listed instrumentation and cannot be used with a duet book from another series. Don't miss this gorgeous new arrangement of for duet! "O mio babbino caro" is one of Puccini’s best-loved arias. Lauretta sings ‘O mio babbino caro’ to persuade her father Gianni Schicchi to help her and her boyfriend Rinuccio Donati. It is an interlude expressing lyrical simplicity and love in contrast with the atmosphere of hypocrisy, jealousy, double-dealing, and feuding in medieval Florence. This book can be played by Flute OR Oboe OR Violin AND Cello OR Bassoon. The books are not designed for absolute beginners. Each duet book is published in score form (both parts on the same page) so that the players can play from the same part. All duets are arranged specifically for the listed instrumentation and cannot be used with a duet book from another series. "Largo al factotum" (Make way for the factotum!) is an aria from Rossini’s The Barber of Seville, sung at the initial entrance of the title character. Who doesn’t know this awesomely hummable song? Even Rossini would probably find it amusing that his aria has become even more famous due to the Bugs Bunny cartoon, “The Rabbit of Seville”. And we’d totally go into lavish detail to define the history and meaning of the term "factotum", but we took a vote, and unfortunately, That’s All, Folks! The books are not designed for absolute beginners. This book can be played by Flute OR Oboe OR Violin AND Cello OR Bassoon. Each duet book is published in score form (both parts on the same page) so that the players can play from the same part. All duets are arranged specifically for the listed instrumentation and cannot be used with a duet book from another series. Perform this masterful medley/mash-up for Duet that features Happy Birthday as the main theme, along with For He's a Jolly Good Fellow and a playful dash of The Old Gray Mare as well. This book can be played by Flute OR Oboe OR Violin AND Cello OR Bassoon. THE MESSIAH - by George Frederick Handel - Hallelujah Chorus, Pastoral Symphony "Pifa", He Shall Feed His Flock Like a Shepherd, For Unto Us a Child is Born, Joy to the World (Bonus Title!) 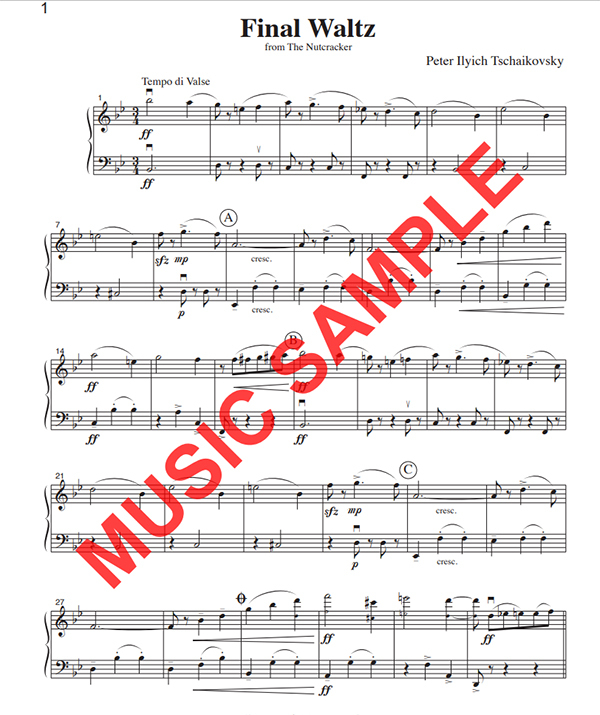 *Please note - these arrangements can also be found in separate volumes published by Last Resort Music* This book can be played by Flute OR Oboe OR Violin AND Cello OR Bassoon. Each duet book is published in score form (both parts on the same page) so that the players can play from the same part. All duets are arranged specifically for the listed instrumentation and cannot be used with a duet book from another series. THE MESSIAH - by George Frederick Handel - Hallelujah Chorus, Pastoral Symphony "Pifa", He Shall Feed His Flock Like a Shepherd, For Unto Us a Child is Born, Joy to the World (Bonus Title!) 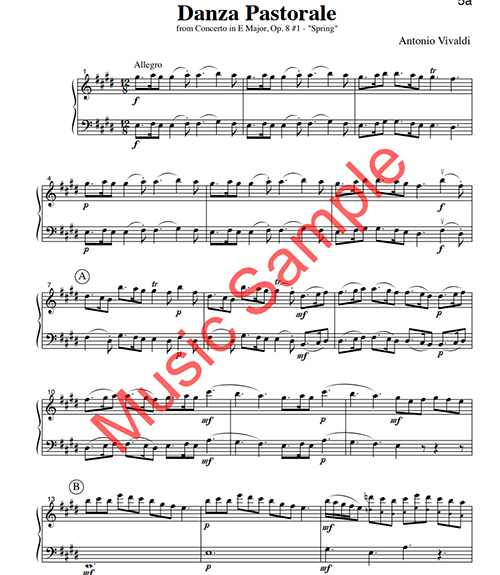 *Please note - these arrangements can also be found in separate volumes published by Last Resort Music* This book can be played by Flute OR Oboe OR Violin AND Flute or Oboe or Violin. 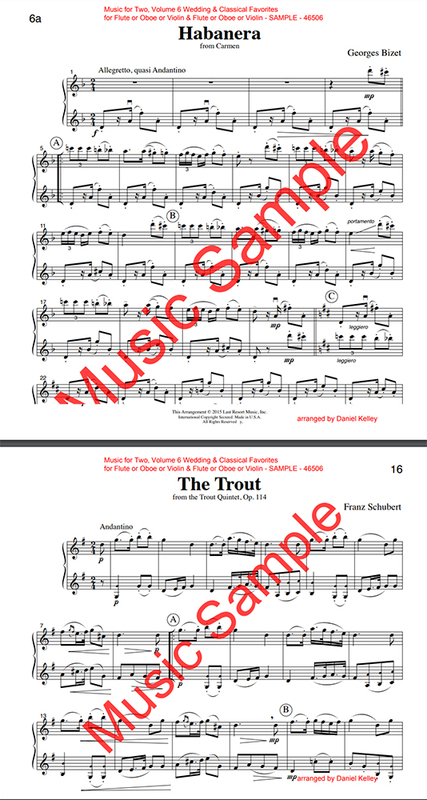 Each duet book is published in score form (both parts on the same page) so that the players can play from the same part. All duets are arranged specifically for the listed instrumentation and cannot be used with a duet book from another series. 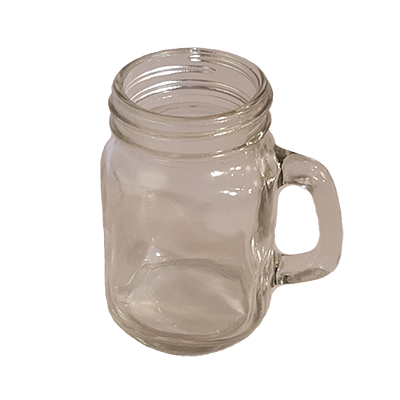 This Beautiful ceramic latte mug makes a great gift for the musician in your life. 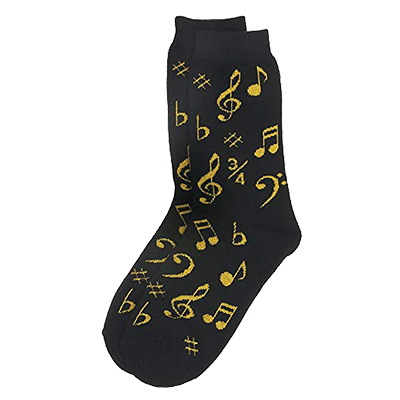 A wonderful gift for your favorite music teacher, graduate, or music lover. 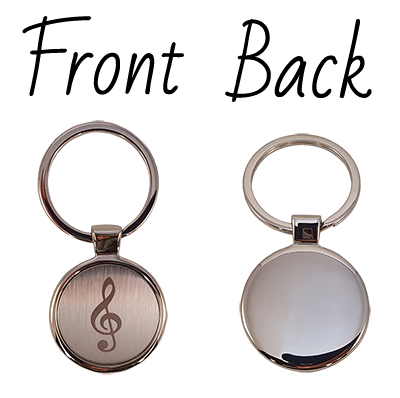 This keychain features an engraved Treble clef (G Clef) on chrome with satin finish. The keychain measures 2.75 inches long by 1.25 inches across. 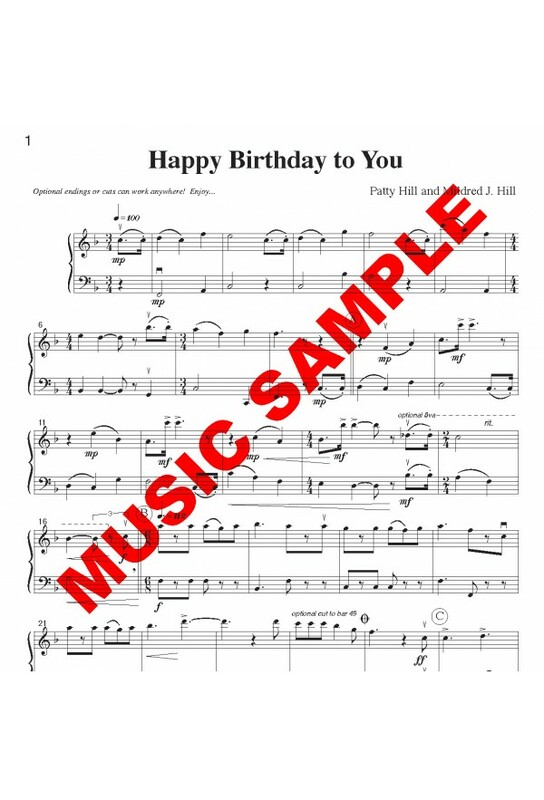 A wonderful gift for your favorite music teacher, graduate, or music lover. This beautiful mug features multiple instruments and a removable, decorative tassel. 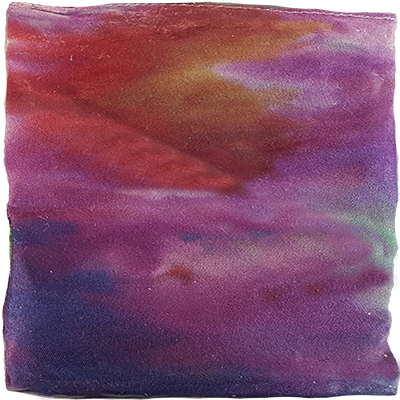 Dimensions are about 3" wide x 4.25" tall. 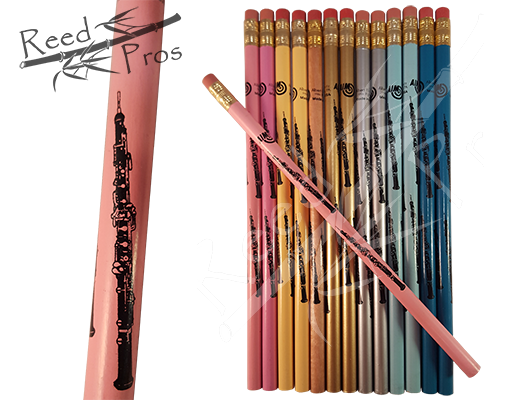 An excellent way to get your point across is with these oboe pencils! Standard number 2 lead pencil with eraser. 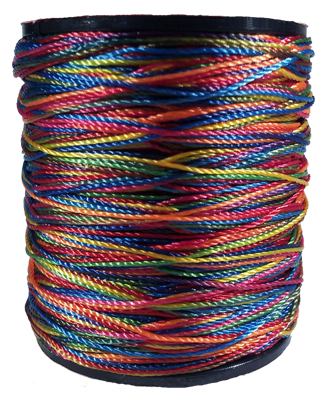 Assorted colors. 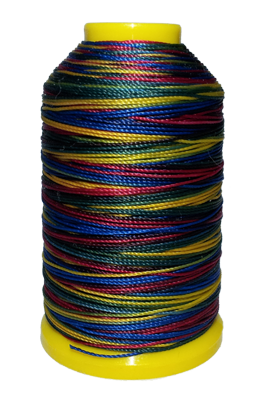 Colors based on availability. 7 1/2" long. Add some music to your Christmas tree, desk, work space and more! 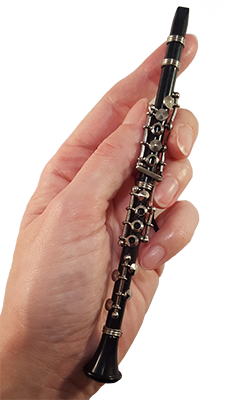 This oboe ornament is black with silver colored keys. Length: 6.5 inches. Add some music to your Christmas tree, desk, work space and more! This clarinet ornament is black with silver colored keys. Length: 6.5 inches. A great way to give a gift to the musician in your life! Three great themes to choose from: Classic, Present, and Christmas. Redeem instructions included on Gift Certificate.